Luxury fashion label Zimmermann is due to open its first London flagship on Bruton Street this year. Formerly occupied by Stella McCartney (who has relocated to Bond Street), the store will be Zimmermann’s fourth outside Australia. The brand’s style has a bohemian vintage feel, with everything you need for the perfect beach wardrobe. Prices are from around £185 for a bikini and from around £500 upwards for a dress. Core Collective, which counts the Made in Chelsea set and Piers Morgan among its die-hard fans, is due to open its next outpost in North West London’s most coveted neighbourhood, St John’s Wood. The super luxe gym has a number of different classes on offer at its current High Street Kensington location, including Velocity, Accelerate, Power Yoga and Barre. Membership is from £220 per month or £28 per class. 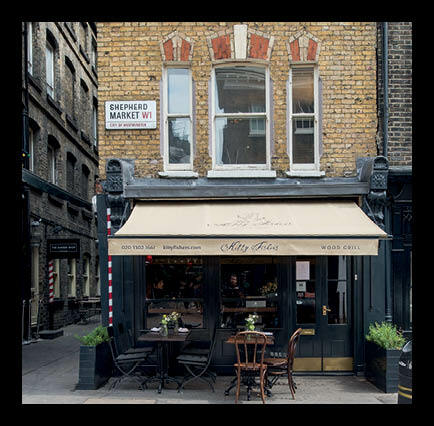 Miami-based Buns & Buns will open this summer at 5 Covent Garden Piazza. The restaurant specialises in what it calls ‘gastro fast’—a hybrid between counter service and fine dining—and will offer a small, high-quality menu focussing on meat and fish served on ciabattas and buns. 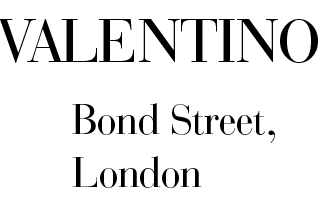 Stella McCartney has relocated from her debut Bruton Street store to 23 Old Bond Street. 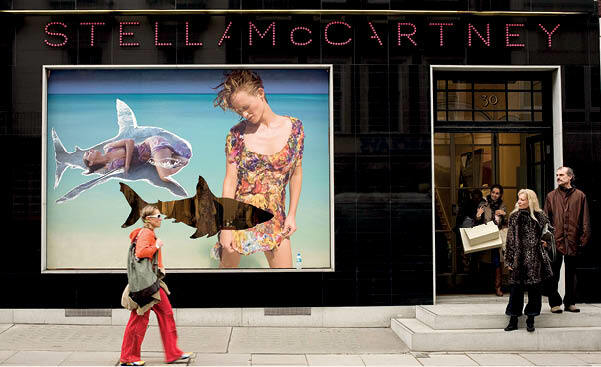 It’s been over a decade since Stella McCartney launched her eponymous label and, with every collection stronger than the last, even her original doubters have become Stella converts. 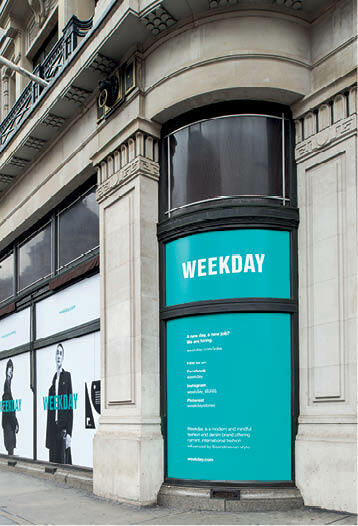 Weekday, known for its denim and minimalist staples, is to debut a store on Regent Street. The brand currently has 27 stores, most of which are in the Nordics. This will be its first in the UK, joining all the other H&M group brands on the street, including recently announced Arket, & Other Stories and Cos.
Swedish fashion retail giant H&M is to launch another new brand. 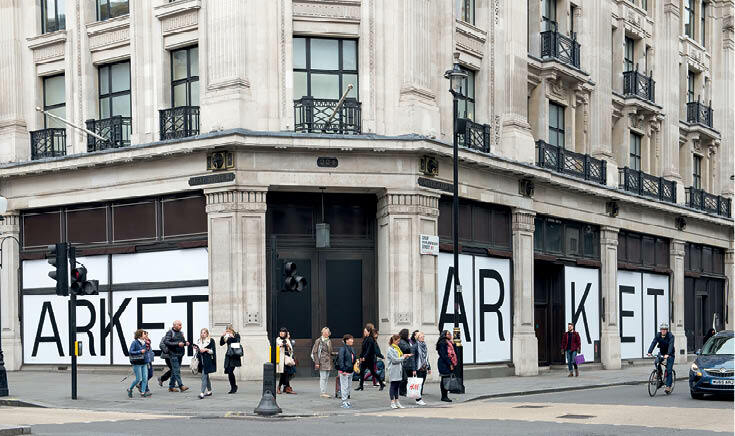 The retailer has acquired the former Banana Republic store on Regent Street and is due to open Arket in early Autumn. 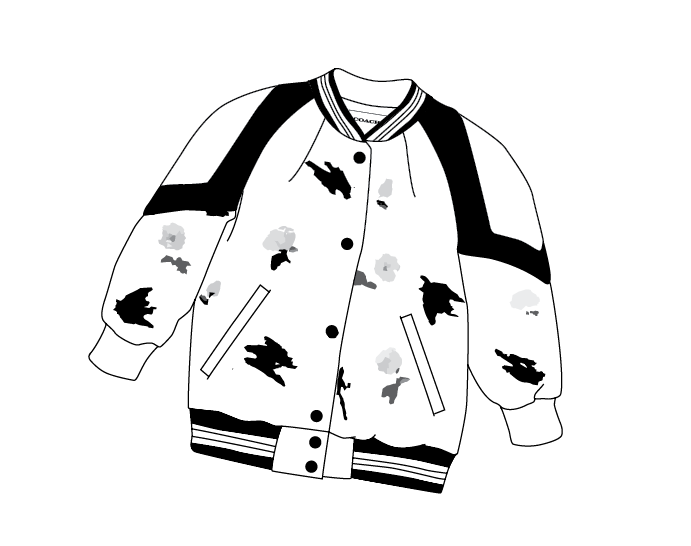 The brand will focus on essentials for men, women and children, with high-quality and functional designs. The store will also have a homeware department and a Nordic café. George Khachfe’s renowned furniture design and manufacturing business Poliform is relocating to Marylebone. 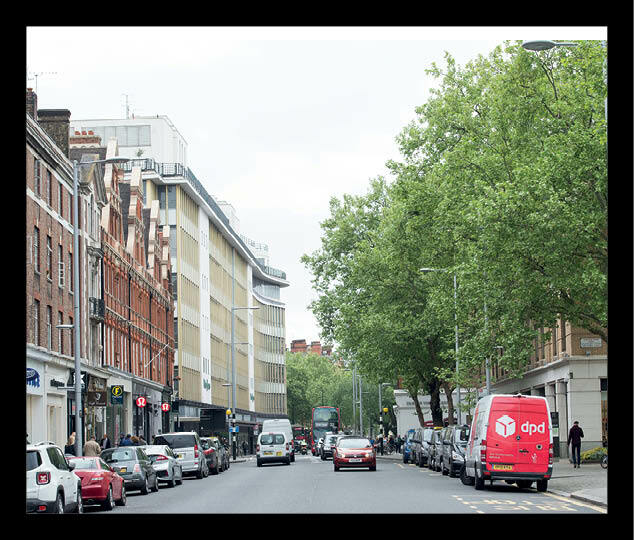 Poliform, which established itself in 2002 in what was once the Chelsea School of Art and Design building on the King’s Road, will be moving into the former Alexander Furnishings shop at 51–61 Wigmore Street. 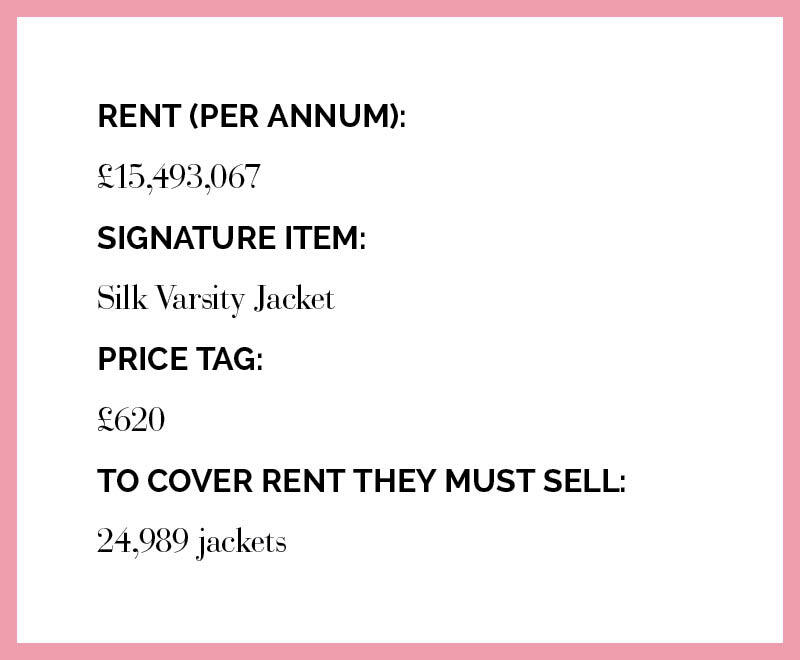 Our exclusive edit of the capital's latest retail and leisure openings. New York’s finest deli, Dean & Deluca, will be making its debut next month when it opens its first store at 117 Mount Street, formerly occupied by butchers, Allens of Mayfair. 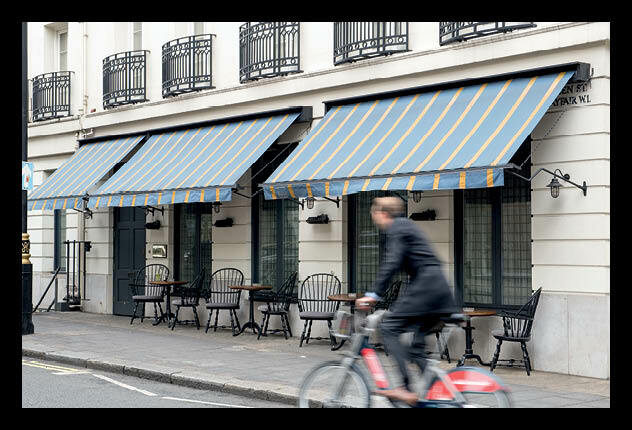 Mount Street has become a hub for brands seeking to make their UK debut and the new 1,900 sq ft store is likely to be popular with locals and tourists alike. 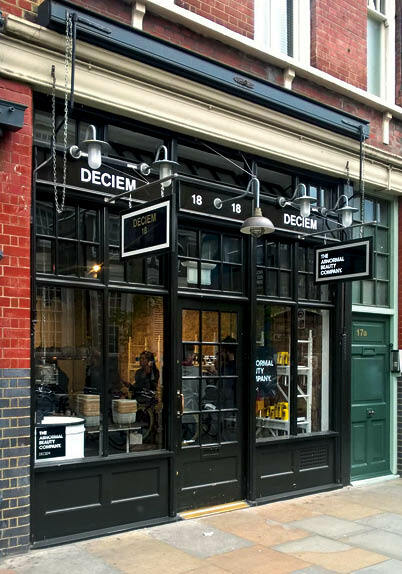 This will be the first of several Dean & Deluca stores planned for the UK in the next five years. 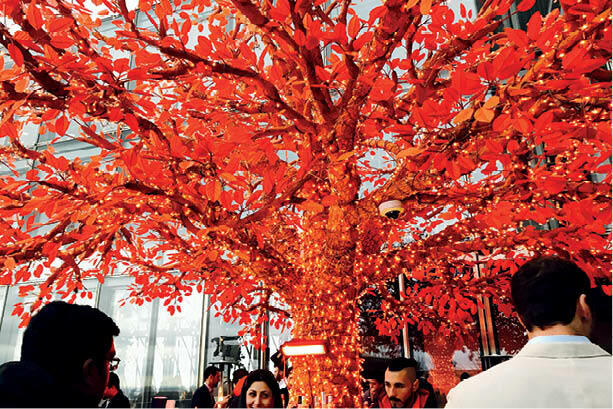 Since Sushisamba opened its renowned restaurant in the Heron Tower in 2012, its fairy light-festooned tree sculpture has become synonymous with date-night selfies. 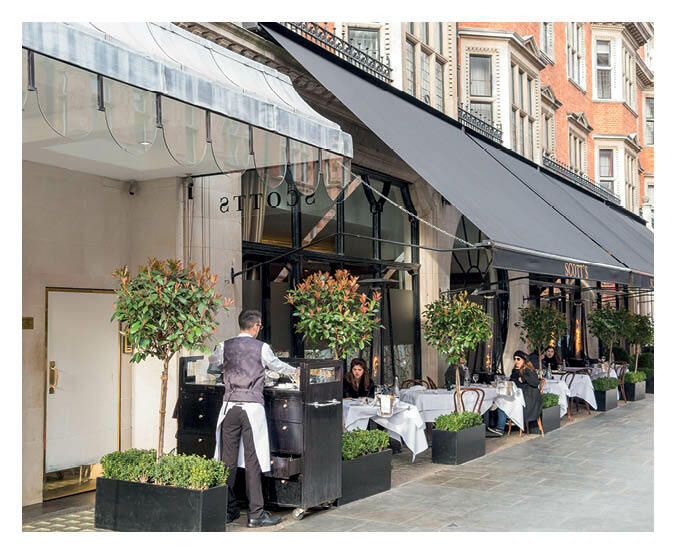 Whether the tree will follow Sushisamba to its new 9,000 sq ft Covent Garden home on the Opera Terrace is yet to be decided. 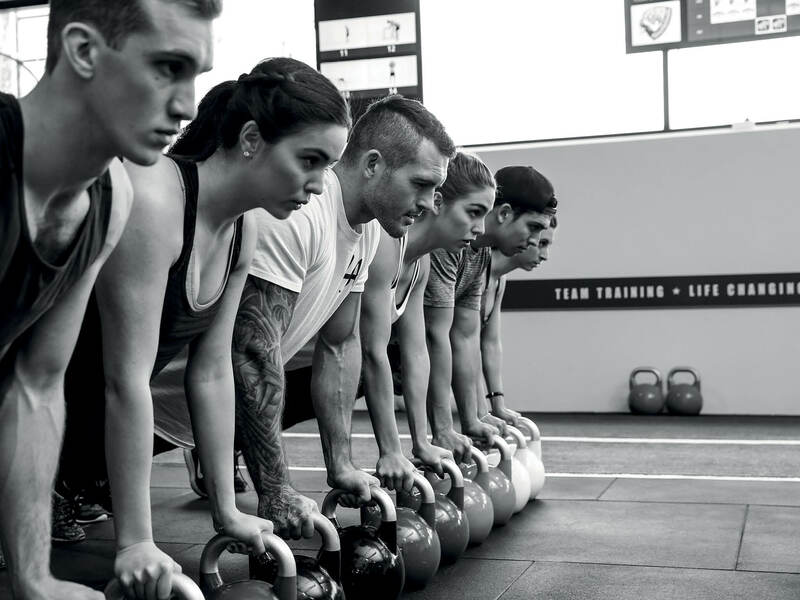 The fitness industry has rapidly evolved over the past three years, with every single retailer, gym operator and food outlet getting on board with the latest fitness craze. This exponential growth has led to the total market value of the UK’s fitness industry reaching an estimated £4.4 billion. 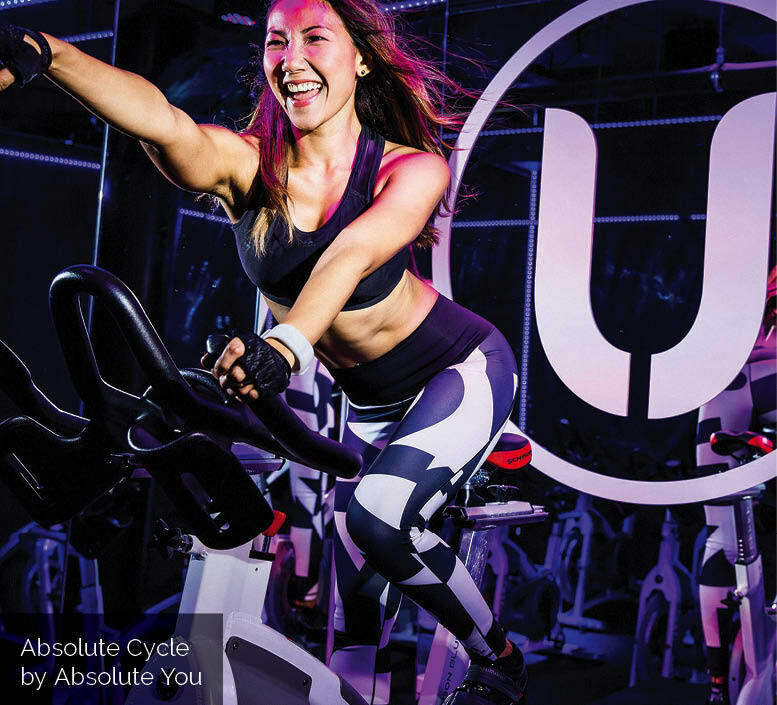 Founded by Benjaporn Karoonkornsakul, Absolute You is Asia’s leading fitness concept. It was the first studio in Thailand to offer hot yoga and pioneered Pilates Reformer in Asia. Absolute You now has 10 studios in Bangkok, a wellness retreat called Absolute Sanctuary on the island of Samui and a bespoke health food offering, Absolute Fitfood. 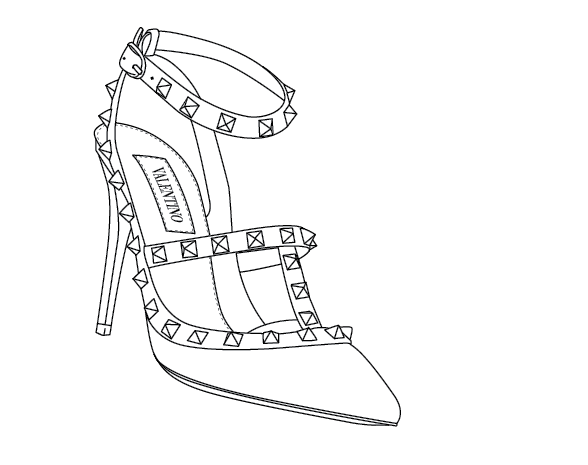 The brand is now expanding globally and plans to open its first flagship studio in London later this year. Incorporating the exoticness of the East, Absolute You has developed a programme of classes that includes rhythm cycling, pilates, yoga and coreblast. Its aim is to make traditional forms of exercise accessible while revolutionising more modern concepts, and it has a training programme in place for fitness instructors to ensure tuition is of the ‘absolute’ highest quality. Unlike most of its competitors in London, Absolute You will offer a truly immersive, 360-degree experience with globally recognised teacher-based programmes all under one roof. It’s claimed that in 45 minutes you burn twice the amount of calories you would in a conventional spinning class. Sweat by BXR offers two other classes; Skills, which is boxing focussed, and a HIIT class with resistance bands, TRX and free weights. In the Skills class, champion boxers are on hand to give you tips on the swing of your punch—including Muay Thai pro Ryan Costello. Backers of the BXR venture include boxer Anthony Joshua, musician Mark Ronson, hotelier André Balazs and boxing promoter Eddie Hearn. It already has a host of regular celebrity clients, including Ellie Goulding and a number of Victoria’s Secret models (two of whom are also on the membership committee). The Sweat by BXR concept requires 3,000–5,000 sq ft of space and the company is keen to find more sites. Contact David Bell for more information. The greatest success stories have been the gyms, which in London have evolved from mammoth 20,000 sq ft spaces with 12-month contracts and a timetable of body pump classes, to luxury boutique gyms featuring live DJ sets, eucalyptus-infused cold hand towels, personal dry cleaning services, blow dry bars, and let’s not forget the spa products from some of the most expensive organic brands out there including; Cowshed, Bamford, Malin + Goetz and Aesop. Just like their US counterparts, London's boutique gyms such as Psycle started out by focussing on one fitness concept. But now that consumers are demanding more versatility, greater challenge and better results from their workouts, the key aim of operators is to give their members a more diversified experience. 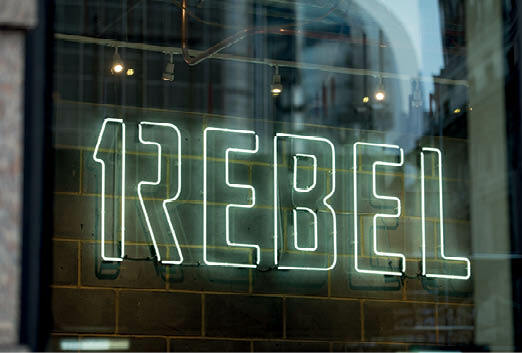 Brands such as 1Rebel have three different workouts, with ‘Rebels’ getting the option of choosing between a boxing-focussed class, a treadmill-focussed class or a spin class. Similarly, Another Space has chosen yoga, HIIT and spin, while Core Collective has gone with HIIT, TRX, spin and some stretch-based classes like yoga and pilates. This ensures members keep going back for more and classes don’t become totally stale. 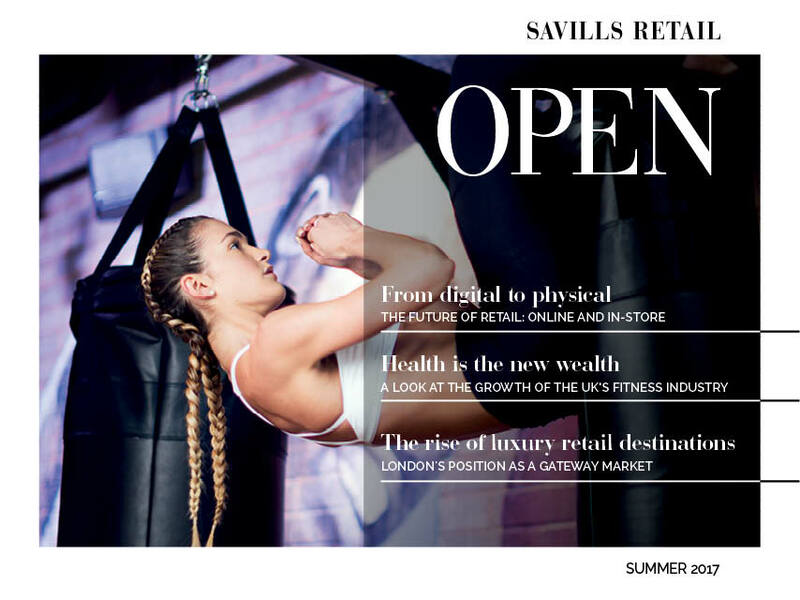 With city life busier than ever for their on-the-go consumers, fitness operators are reflecting their members’ lifestyles by including everything from luxury changing rooms and products, to onsite retail outlets and breakfast on-the-go. To understand how operators are ensuring they remain competitive in this challenging market, we compared two exciting new fitness concepts from Asia and Australia, and put one home-grown brand to the test. 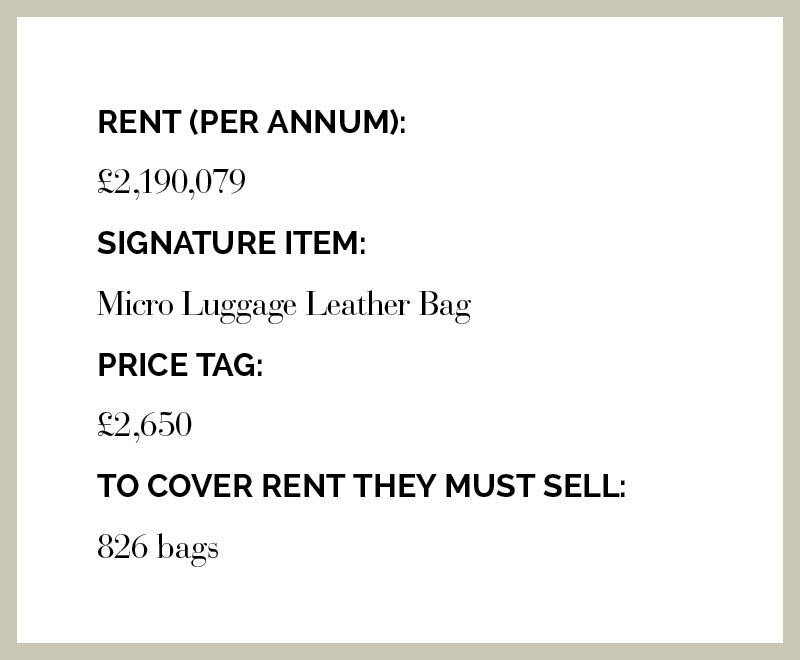 From the bespoke Joe & The Juice bar to the high-end steam and sauna rooms—and let’s not forget the amazing boxing ring—everything screams luxury. training system is easily adaptable to evolving fitness trends. It currently has three studios in London (Tottenham Court Road, London Bridge and Borough High Street) and has ambitious expansion plans which include opening more studios across the UK. It is looking for sites between 1,800 sq ft and 3,000 sq ft with a minimum 3m ceiling height and is happy to consider all locations. 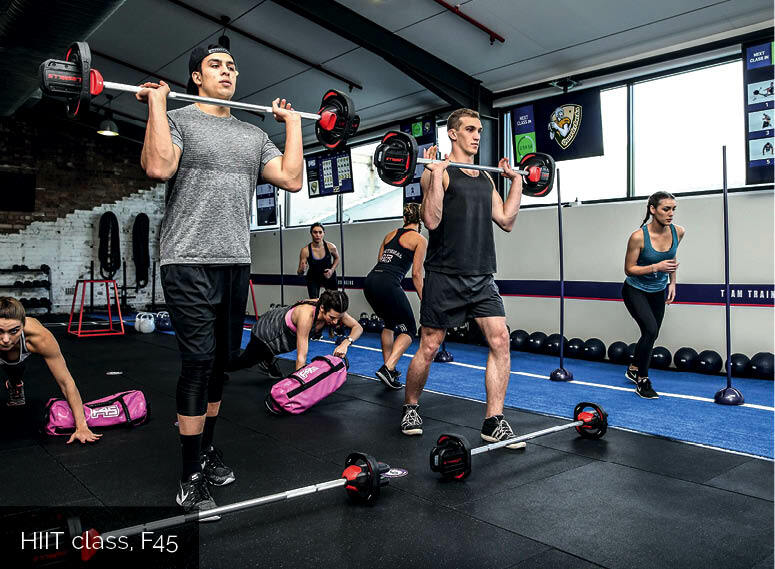 F45 Training is the fastest growing fitness franchise network in the world. It already has more than 500 sites across 18 countries. The brand is now expanding globally and plans to open its first flagship studio in London later this year. 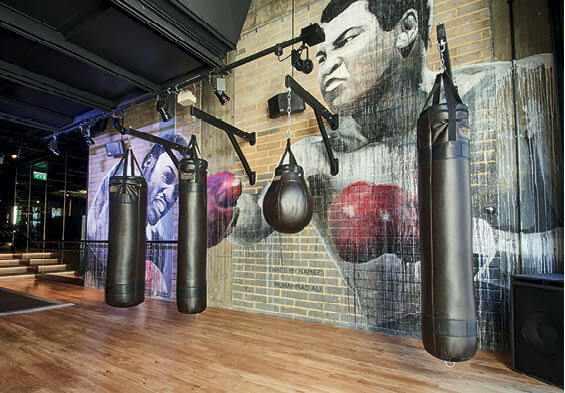 From the moment you step into BXR, a boxing-themed gym in Marylebone, you feel like you're at a big party. The décor is probably the first thing to hit you. From the bespoke Joe & The Juice bar to the high-end steam and sauna rooms—and let’s not forget the amazing boxing ring­—everything screams luxury. 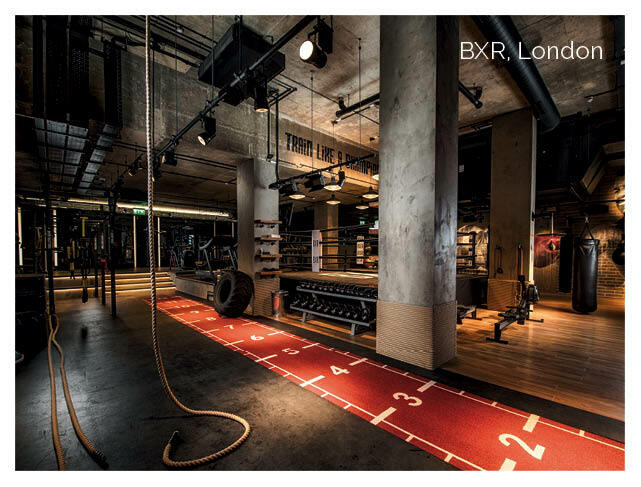 BXR operates two formats within the 12,000 sq ft state-of-the-art gym space. 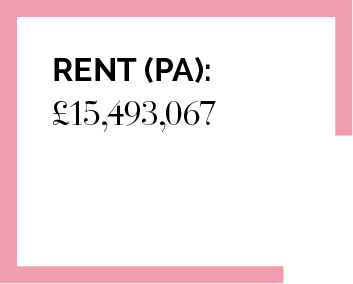 One is the pay-per-month gym option, the other is Sweat by BXR, a pay-by-train option. 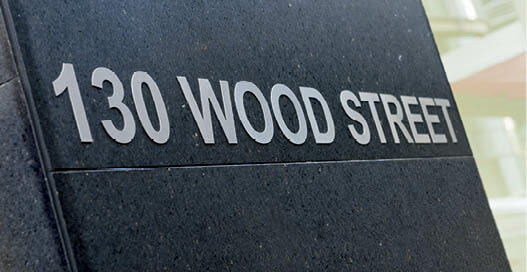 The Sweat by BXR is situated in the basement of the Chiltern Street site. 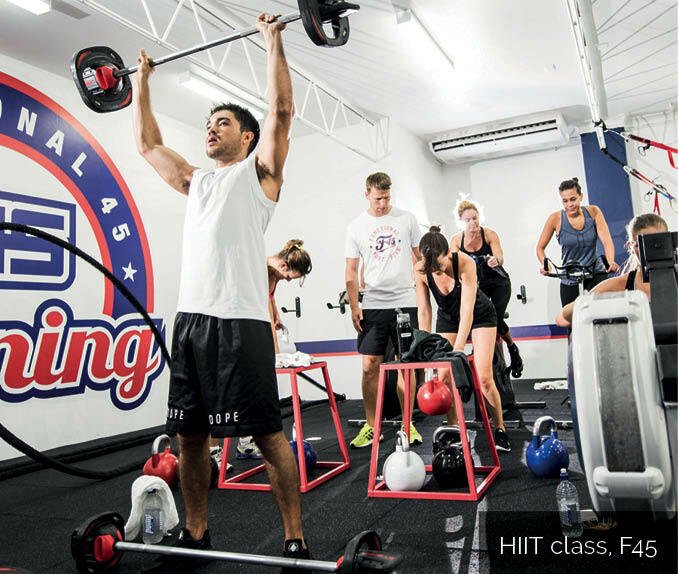 Classes have been specifically formulated to make you sweat and you really do! The VersaClimber class is a spin class on stilts—a weird sensation to start with but you get used to it and it certainly pays off. The company is keen to open further sites in the capital following the opening of its flagship and is flexible on the amount of space required­­—between 2,500–5,000 sq ft—depending upon how many concepts they wish to incorporate within the space. 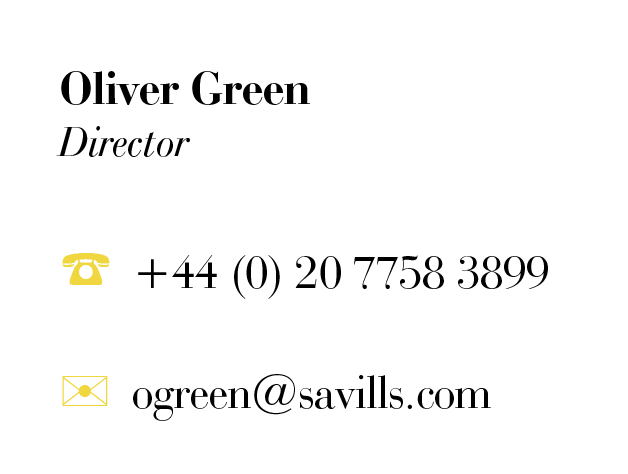 Please contact Oliver Green for more information. 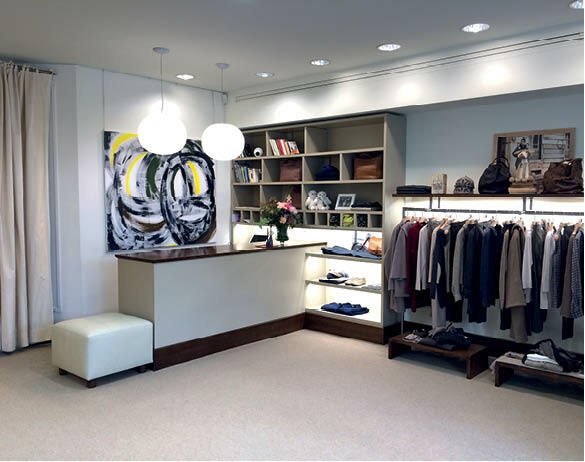 Le Civette, an Italian global luxury brand focussing on cashmere pieces, is due to open its first London store on Walton Street. 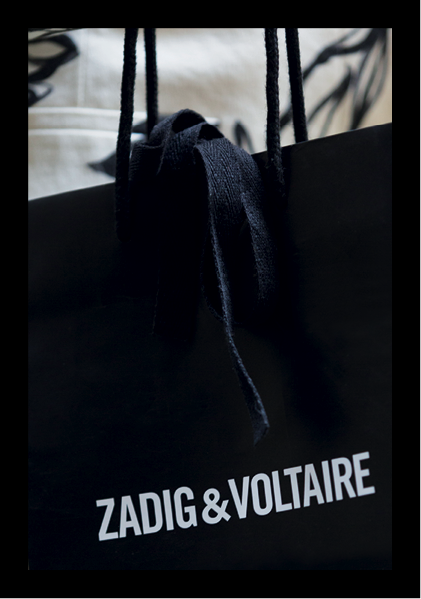 The brand has stores in New York, St Tropez, Paris and St Barts. 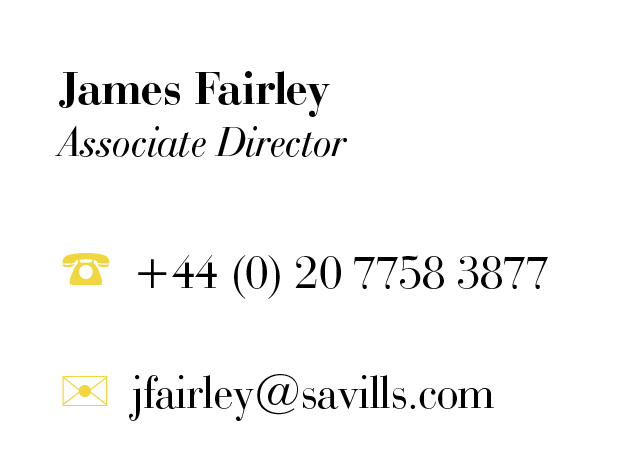 Please contact James Fairley for more information. 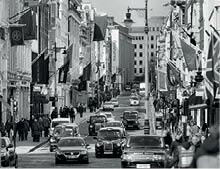 Mayfair is named after the infamous 15-day ‘May fair’ that took place in the area now known as Shepherd Market. More recently, Shepherd Market was the setting for the infamous liaison between politician and best-selling author Jeffrey Archer and Monica Coghlan. Today the area is once again evolving, as luxury apartments jostle for position alongside private members’ clubs such as 5 Hertford Street, Italians Clubhouse and Little House Mayfair. Adding to the evolution are new retail concepts and restaurants, including Kitty Fisher’s, Ferdi and Hatchetts. 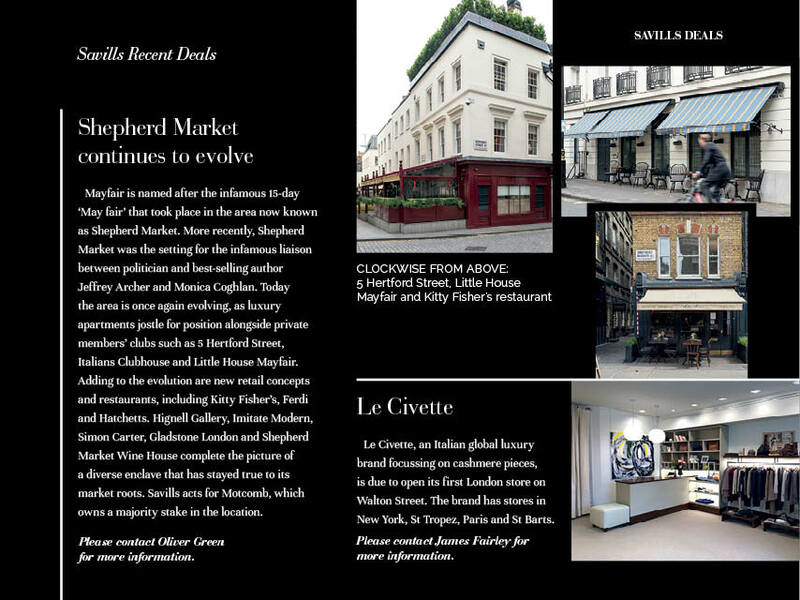 Hignell Gallery, Imitate Modern, Simon Carter, Gladstone London and Shepherd Market Wine House complete the picture of a diverse enclave that has stayed true to its market roots. 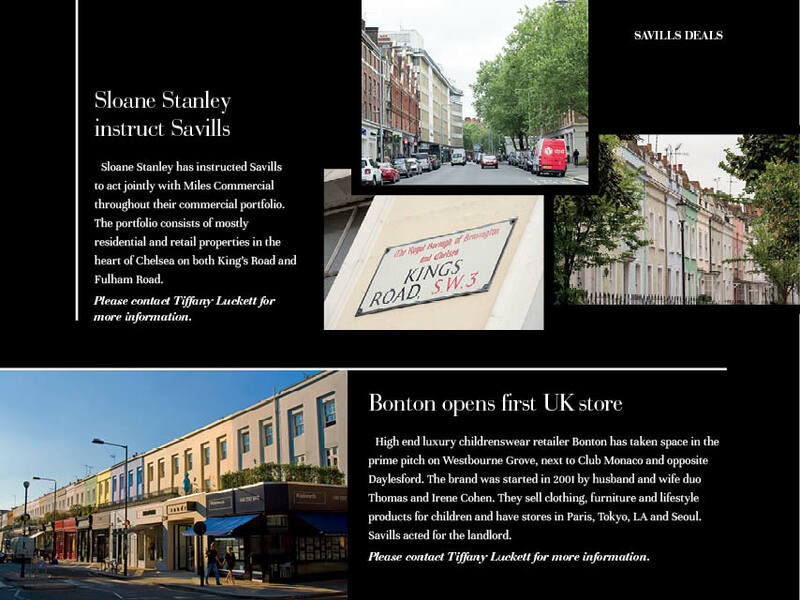 Savills acts for Motcomb, which owns a majority stake in the location. It successfully uses a mixture of reclaimed wooden floors, leather stools, wrought iron railings and window frames, and rough marble tables to create an interesting and atmospheric space. On arrival we were shown to our table and as soon as we landed on our very comfortable garden bench we were offered water, which I always like as it ticks the ‘they know we’re here’ box and you immediately feel more relaxed. The waitress seemed bemused when we asked what their house white was, informing us they didn’t have one and instead offered us a bottle of Gavi (£46). No thanks, the considerably cheaper Muscadet looks nice. And it was—we ended up having two. To kick off the evening we decided to have a quick sharpener in the ETM group’s multi-faceted Greenwood pub, restaurant and sports lounge which boasts a Blink Brow Bar and a barbers so you can have a quick pre-date eyebrow reshape or perhaps meet a mate for a pint and a buzz cut. After enjoying one of Greenwood’s wide range of IPAs, we moved on to the newly opened Rail House Café. It’s run by the team behind Riding House Café and Blixen and, having had good experiences at both, my expectations were high. 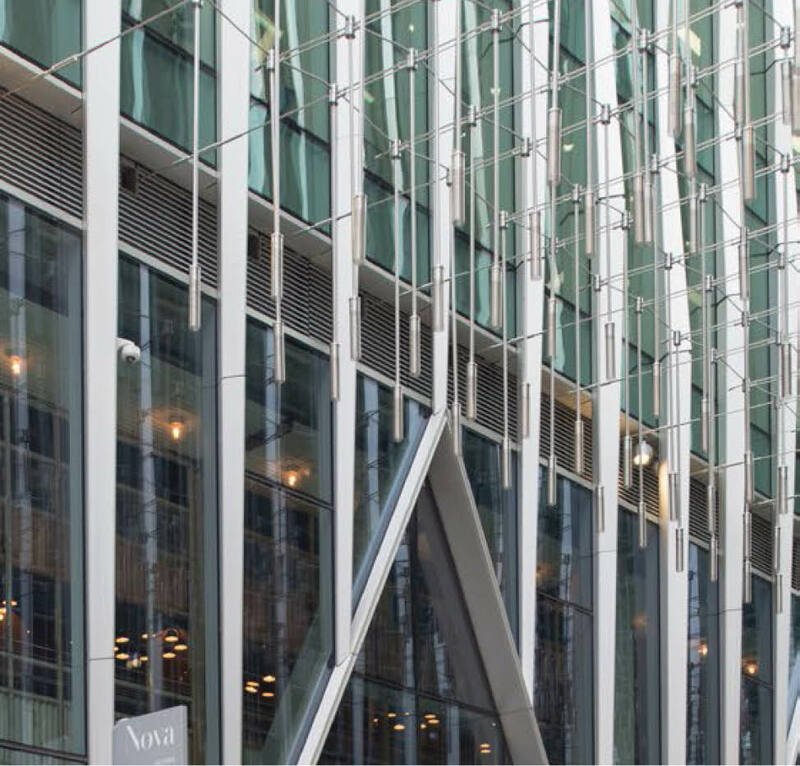 New buildings with masses of glass and vast ceilings present both an exciting opportunity and a great challenge for occupiers to create something atmospheric and distinctive. 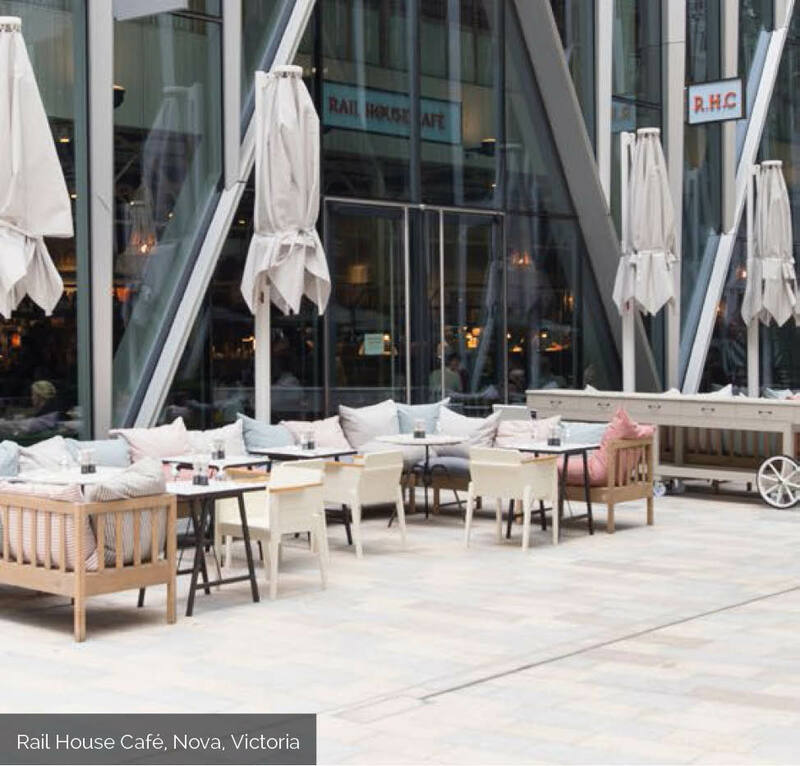 The restaurant is big, very big, and Rail House Café has aimed to split it up by creating a series of ‘rooms’ such as the garden room, the living room, the bar and a comfy club area. It successfully uses a mixture of reclaimed wooden floors, leather stools, wrought iron railings and window frames, and rough marble tables to create an interesting and atmospheric space. For our main courses we ordered the wild bass and truffle, 24-hour slow cooked lamb with black curry and miso-glazed salmon in a dashi miso broth. All were excellent but the sweetness of the glazed salmon in the intensely flavoursome, orangey miso broth stole the show. So good I asked for a spoon to make sure none was wasted. RAIL HOUSE CAFÉ IN NOVA VICTORIA IS THE LATEST VENTURE FROM THE TEAM BEHIND THE RIDING HOUSE CAFÉ AND BLIXEN. RESTAURANT AGENT BENJI ASHE FINDS HIS EXPECTATIONS EXCEEDED. To start with we had sourdough bread that demanded to be ripped by hand with intensely salty barley butter, which was deliciously reminiscent of sugar puffs. 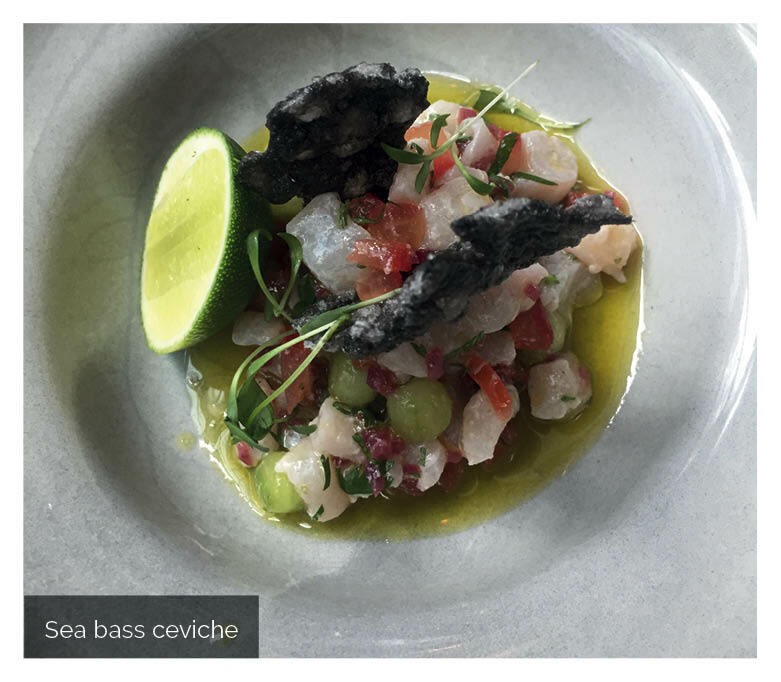 We followed with crumbed duck rillettes­—rich, hearty and satisfyingly crispy—which contrasted brilliantly with the sharp and zingy sea bass ceviche, compressed cucumber and tapioca to share. I associate tapioca with bubble tea but apparently it has other uses; here they turned it into something that looked like squid but had the crunchy texture of a prawn cracker. 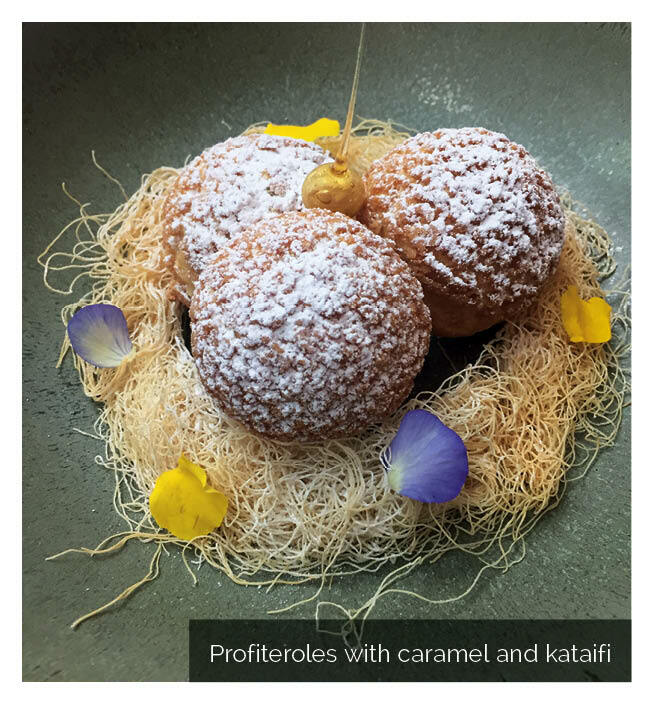 We didn’t really feel like pudding but in the interests of the exercise we thought we’d better give something a whirl and we went for the profiteroles with caramel and kataifi to share. Considering we were all ‘completely full’ they disappeared extremely quickly. Expectations high, expectations exceeded. Contact Benji Ashe for more information. Land Securities’ Nova scheme in Victoria is not quite the finished article with ‘coming soon’ signs still advertising the anticipated arrival of Ole & Steen and Sticks’n’Sushi. But as the exciting line-up of restaurants already open for business includes Timmy Green, Sourced Market, Greenwood, Hai Cenato, Aster and Rail House Café, I decided it was time to pay a visit. 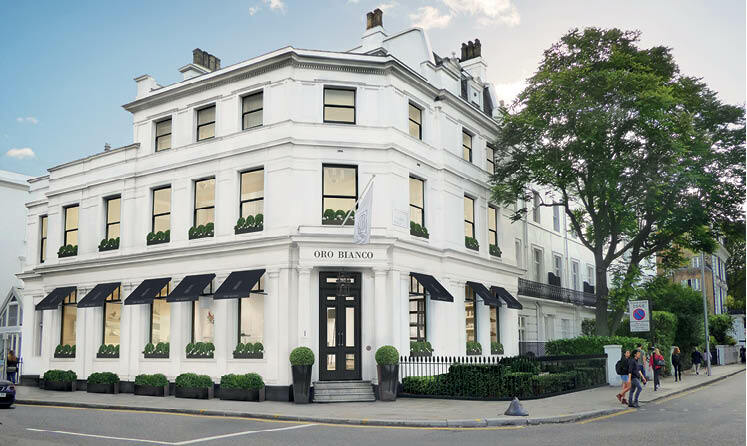 Oro Bianco, a luxury homeware designer based in London, has signed for its first flagship site in South Kensington. The building totals 5,000 sq ft and is Grade II-listed. The company was chosen specifically because of its ability to transform this beautiful landmark building back to its former glory. 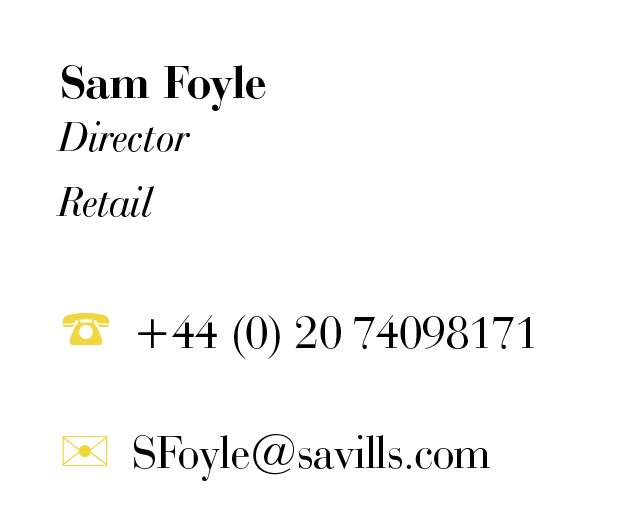 Please contact Sam Foyle or Anthony Selwyn for more information. 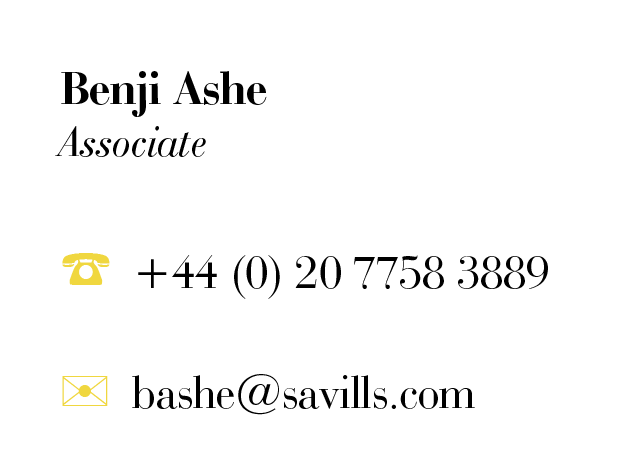 Please contact Benji Ashe for more information. 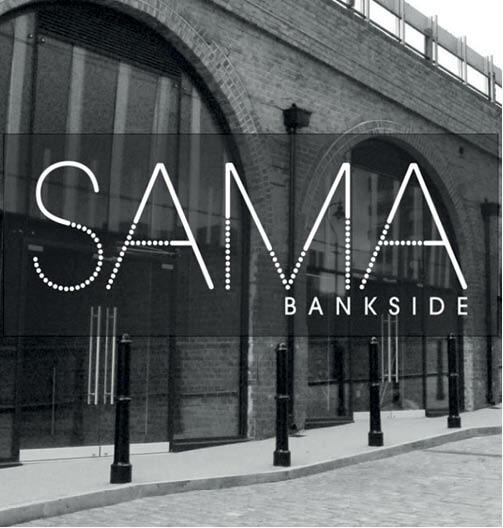 Seasoned leisure professional and club night operator Steve Prashad is set to open a 6,000 sq ft cocktail bar, casual dining restaurant, events space and art venue within the newly refurbished Bankside Arches in Blackfriars. The Network Rail owned site has one unit remaining. 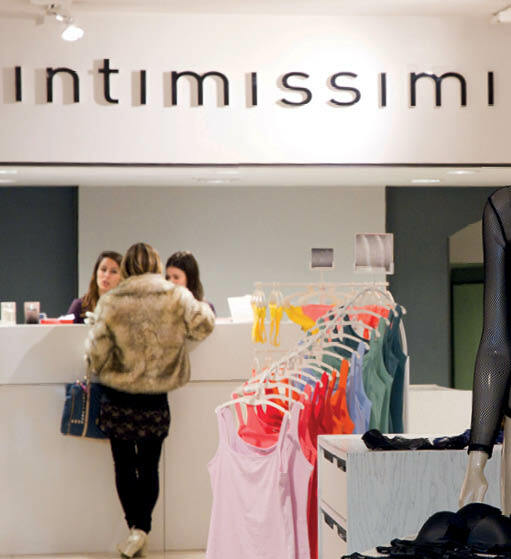 Intimissimi have signed a new lease on Oxford Street which has set a record Zone A of £1,150. 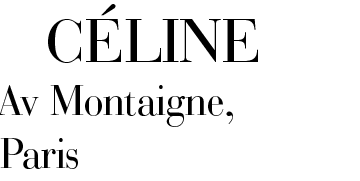 Intimissimi are an Italian lingerie brand owned by Calzedonia, with stores throughout the US and Europe. 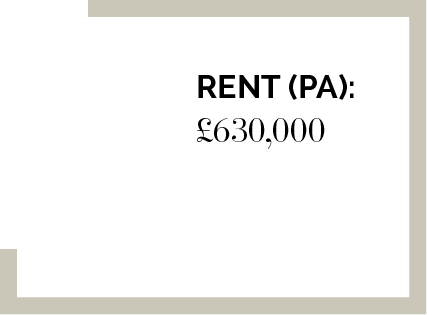 Savills acted for the landlord. Please contact Tiffany Luckett for more information. 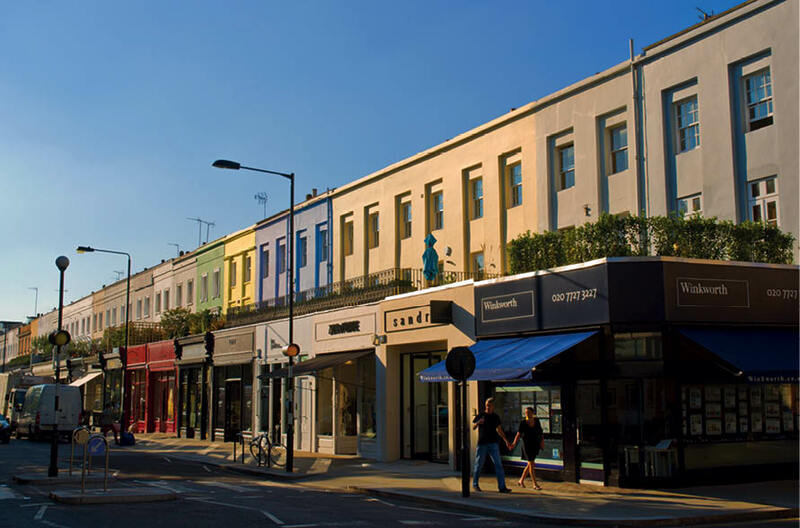 High end luxury childrenswear retailer Bonton has taken space in the prime pitch on Westbourne Grove, next to Club Monaco and opposite Daylesford. 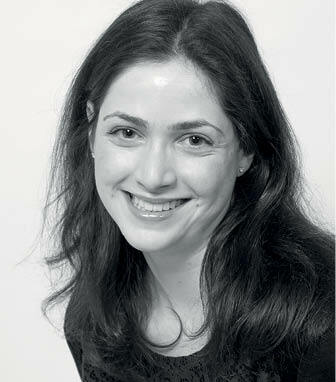 The brand was started in 2001 by husband and wife duo Thomas and Irene Cohen. 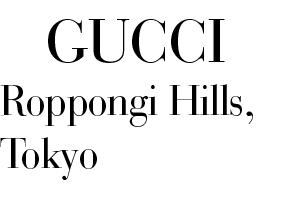 They sell clothing, furniture and lifestyle products for children and have stores in Paris, Tokyo, LA and Seoul. Savills acted for the landlord. 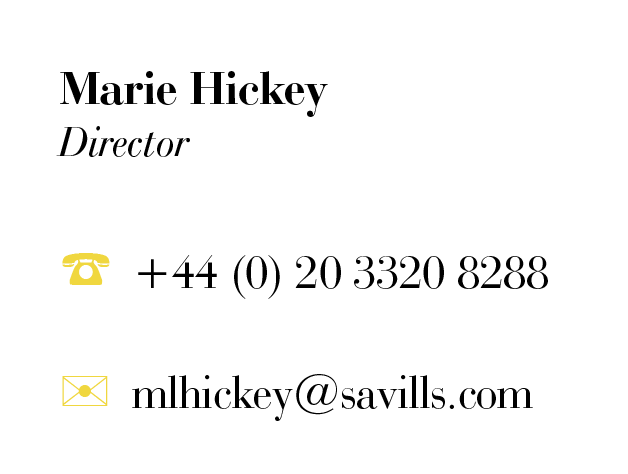 Sloane Stanley has instructed Savills to act jointly with Miles Commercial throughout their commercial portfolio. 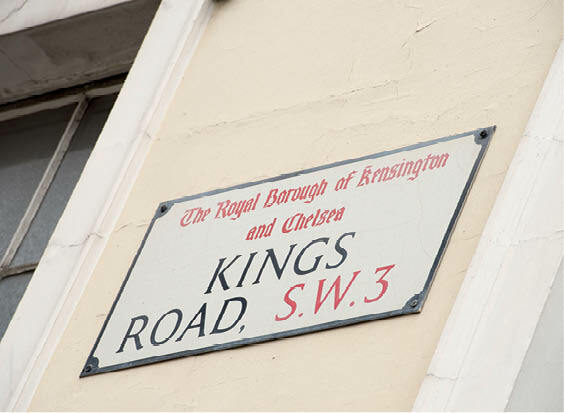 The portfolio consists of mostly residential and retail properties in the heart of Chelsea on both King’s Road and Fulham Road. 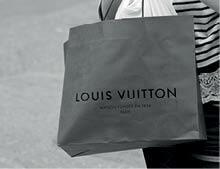 The last 18 months have been relatively mixed for the global luxury goods market. There has been economic and geopolitical uncertainty, stretching from Europe to China, which has softened the confidence of high-income shoppers. In addition, the Chinese Government has attempted to drive down consumption and brought in anti-corruption initiatives which have played a significant role in slowing global luxury spend. 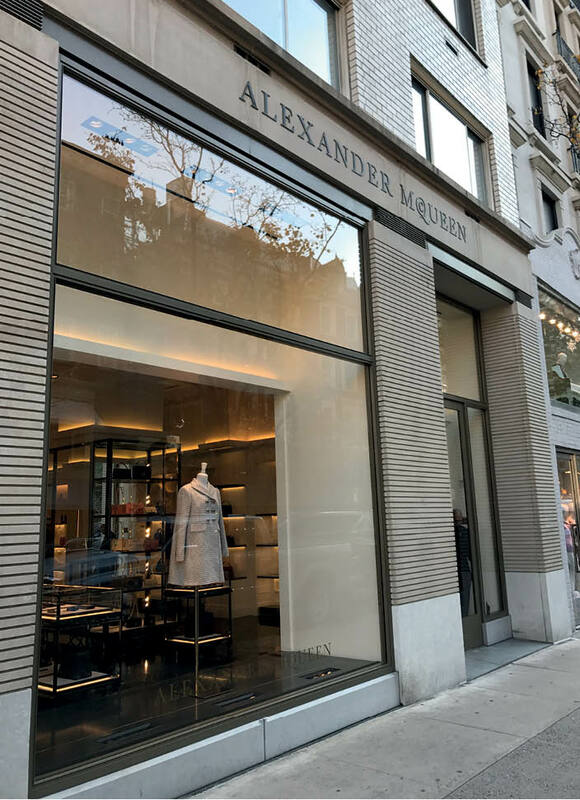 But while this slowdown generated headwinds in some markets (primarily within mainland China and Hong Kong) which saw luxury brands closing a number of under-performing stores, this was not at the expense of overall store portfolios. Rather, the difficult trading conditions of 2016 have helped to refocus strategies, not just in terms of physical stores but also in terms of brand positioning and streamlining. An apparent trend across these new strategies, where they exist, is the greater importance of being placed in destination and strategic markets, and the role these can play in brand building and enhancing customer experience. This has meant strategic destinations and cities are becoming increasingly more important to luxury brands, particular those popular with Chinese tourists. It also means a growing appetite among brands for expanding and/or acquiring larger stores in key destination markets to help them better engage with customers and enhance the overall brand experience. 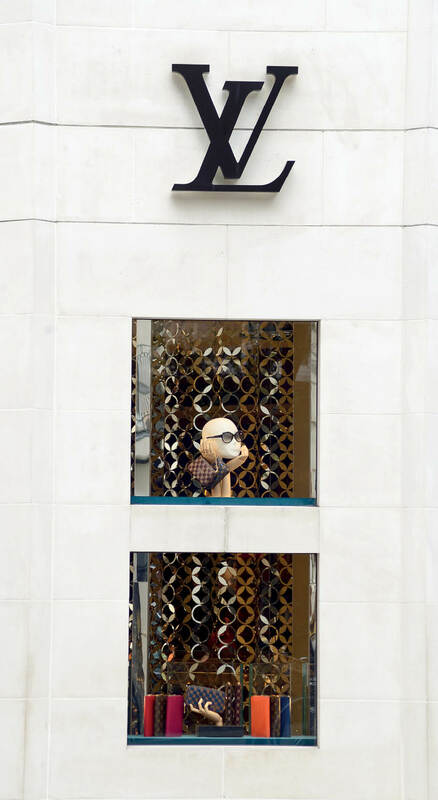 Above: Chanel, Bond Street, London. Left: La Perla, Causeway Bay, Hong Kong. 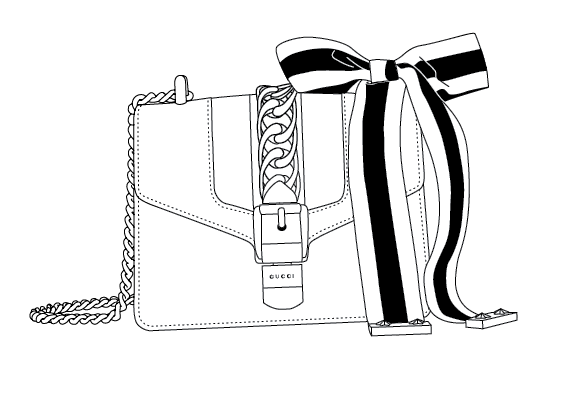 Below: Miu Miu, Bond Street, London. arrivals to the city come from mainland Europe. The appeal of the city to Chinese visitors, which increased 69 per cent in 2015, is also adding to its strategic appeal. With international travel forecast to double by 2030, along with the migration of Chinese luxury spend to a wider variety of international retail markets, the importance of the destination market looks set to rise in 2017 and beyond. The role these destinations can play in brand building and enhancement of the customer experience will also be key, leading to a growing appetite among retail brands to expand and/or acquire larger stores in key destination markets. 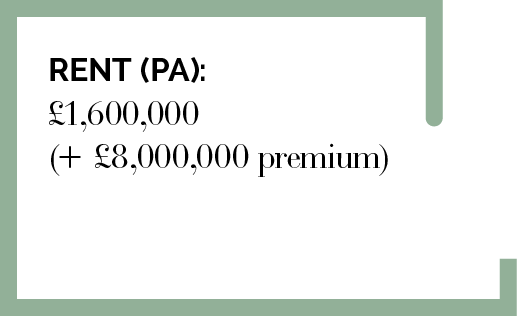 Contact Anthony Selwyn or Laura Salisbury-Jones for more information. Chinese consumers accounted for 30 per cent of global luxury retail sales in 2016; with 40 per cent of luxury goods purchased by Chinese consumers being acquired abroad. 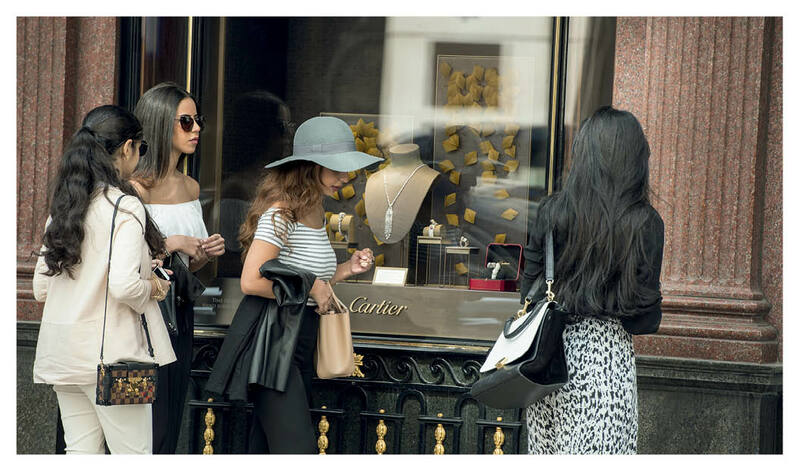 A key factor determining luxury spend in city destinations is the evolution of Chinese tourism and spend. 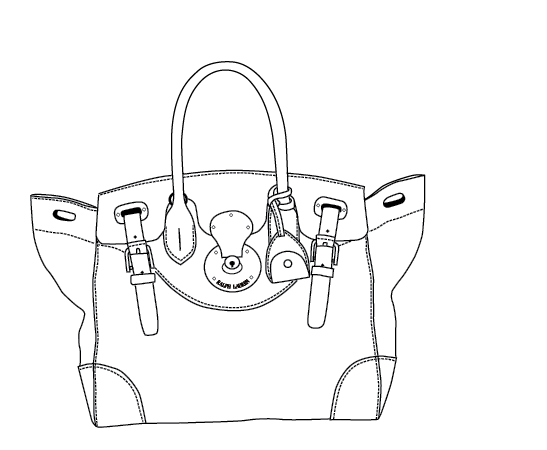 Approximately 40 per cent of luxury goods purchased by Chinese consumers are bought abroad, exceeding the 30 per cent global average (Exane BNP; ContactLab). Evolving travel preferences by Chinese nationals has seen Chinese tourism widen within the Asia Pacific region and beyond, although Hong Kong and Macau continue to be key destination markets. Singapore for example, is attracting spending from China’s Tier 2 and 3 cities. Chinese spend also boosted luxury spend performance in Thailand and Malaysia in 2016 (Bain & Co), as well as Tokyo and Seoul, now major destinations for Chinese tourists. Forecasts from UNWTO suggest that international tourist arrivals globally will almost double by 2030 to 1.8bn, aided by a rapidly expanding and mobile middle class in emerging economies as well as the further expansion of low-cost air travel. Europe will continue to be the largest tourist destination market with a projected market share of 41 per cent in 2030. Some of the strongest growth forecasts, however, are predicted for Asia Pacific and Africa, with average growth of 4.9 per cent and 5 per cent per year through to 2030, with their cities being key destination gateways for this increasing tourism flow. 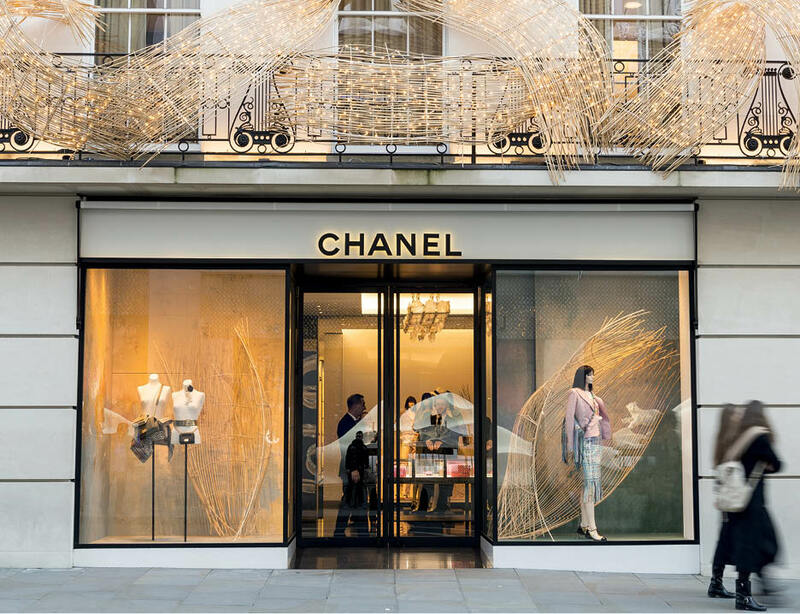 THE geography of luxury retailing and what's expected for 2017—The rise of luxury retail destinations AND London's position as a gateway market. 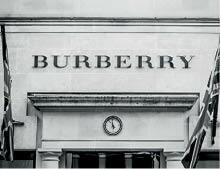 To learn more about our dedicated global luxury retail team, click here. London is the most visited city in the World. Globally, international travel is forecast to double to 1.8 billion by 2030. 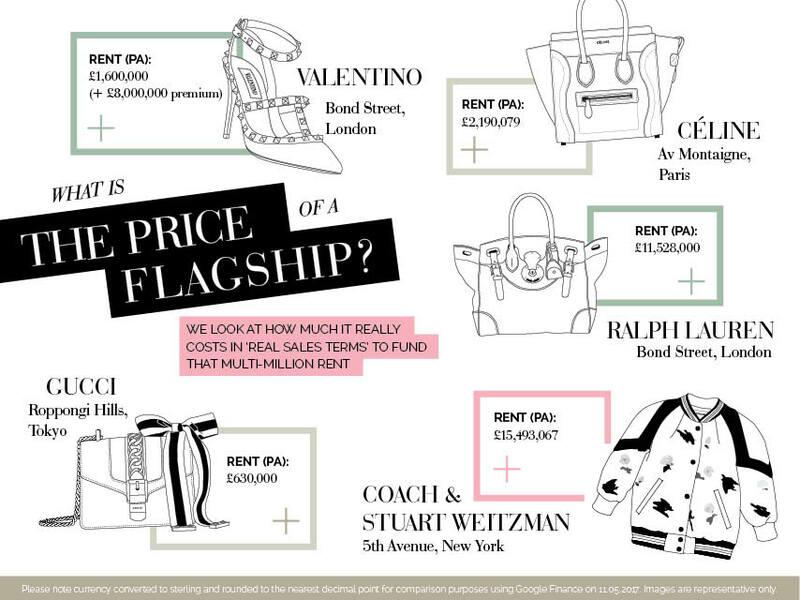 Approximately a third of luxury retail spend takes place abroad, according to analysis by Exane BNP and ContactLab, and this is often exacerbated by currency fluctuations, as seen with the recent depreciation of the pound following the UK’s decision to leave the EU. Therefore locations that attract significant numbers of tourists, particularly high spending ones, will be increasingly attractive markets for luxury brands. Europe will be the largest tourist destination with a market share of 41 per cent in 2030. Although average spend per visitor has softened in some markets in the wake of China’s new import duties introduced in 2016, Chinese outbound travel is forecast to almost double to 220 million by 2025, with travel spend increasing to US$450 billion (Goldman Sachs Global Investment Research). The future travel patterns of Chinese tourists will therefore play a major role in determining the geographical location of luxury spend. Evolving travel preferences and visa relaxation policies will see an increasing number of Chinese tourists travel further afield: Goldman Sachs forecasts that Chinese arrivals into Europe will more than double to 22.5 million over the next 10 years with a similar increase for the US with arrivals forecast to reach 5 million by 2025. 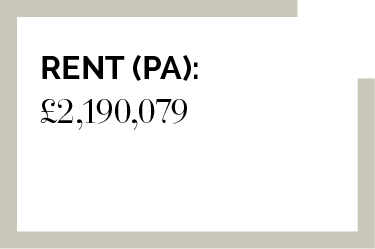 Gateway cities in both markets will be the primary beneficiaries of these increased arrivals. 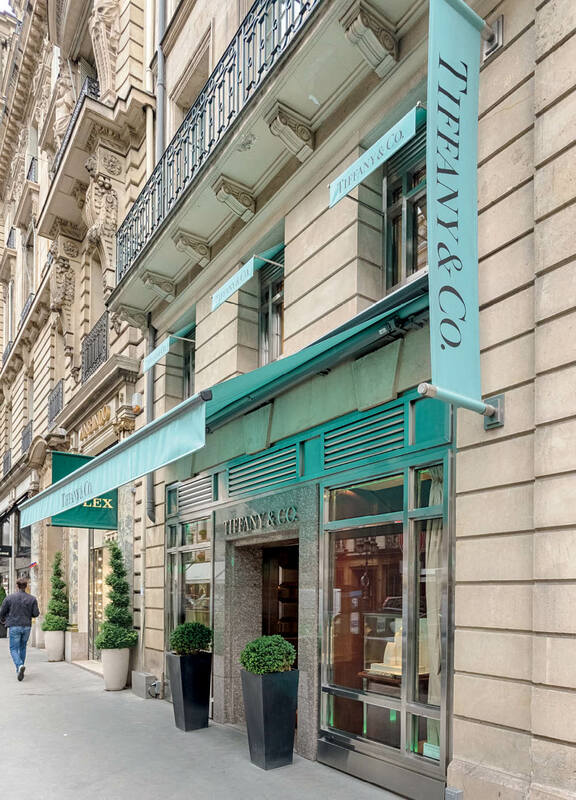 Left: Alexander McQueen, Madison Avenue, New York Above: Cartier, Bond Street, London Below: Tiffany & Co, Rude de la Paix, Paris. 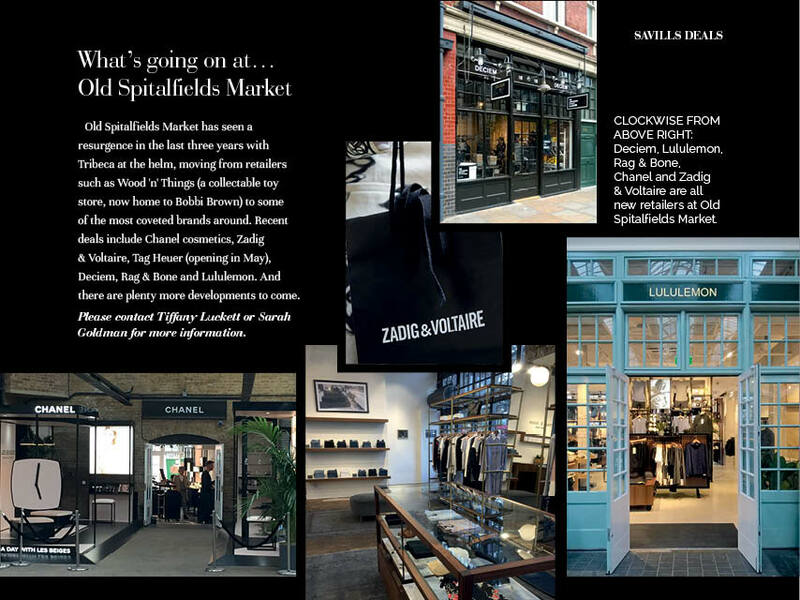 Clockwise from above right: Deciem, Lululemon, Rag & Bone, Chanel and Zadig & Voltaire are all new retailers at Old Spitalfields Market. Please contact Tiffany Luckett or Sarah Goldman for more information. 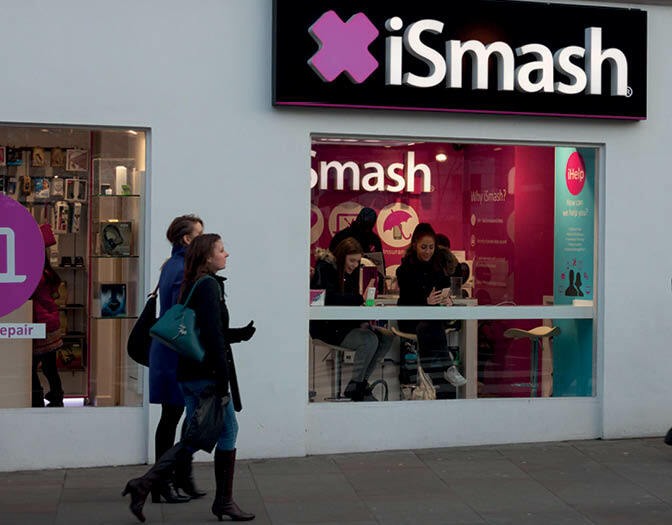 Savills have let 38 Tottenham Court Road to iSmash, the tech repair specialists, setting a new record rent for the street. 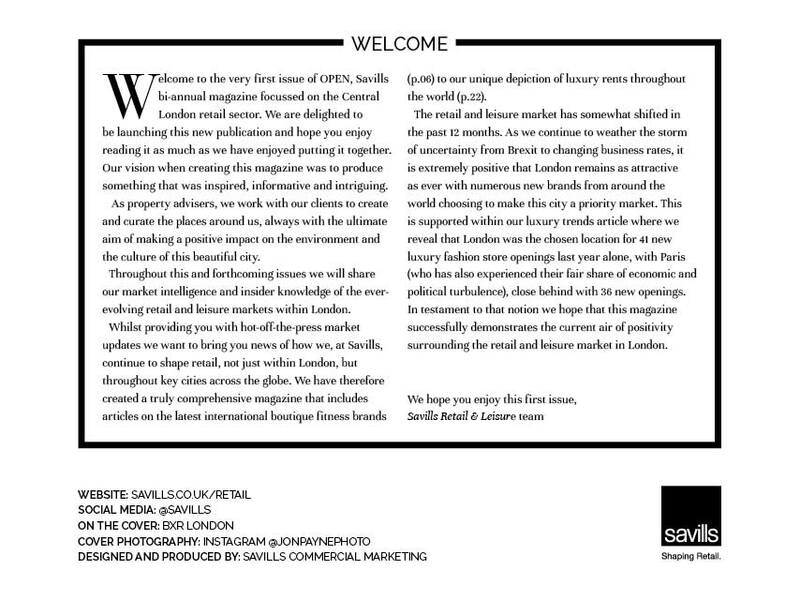 This leads on from Savills recent flurry of leasing activity on behalf of Derwent London on Tottenham Court Walk where Waterstones, Planet Organic, Hotel Chocolat and Oasis have all recently opened stores. 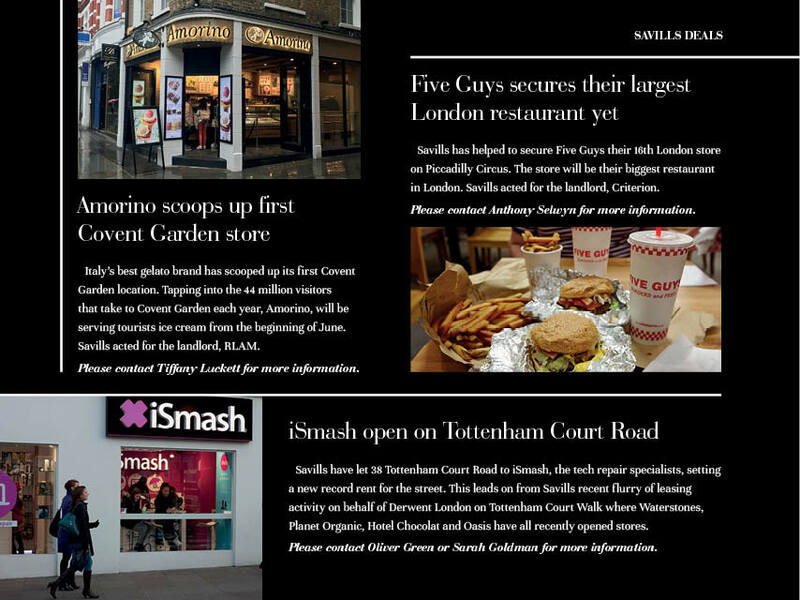 Savills has helped to secure Five Guys their 16th London store on Piccadilly Circus. The store will be their biggest restaurant in London. 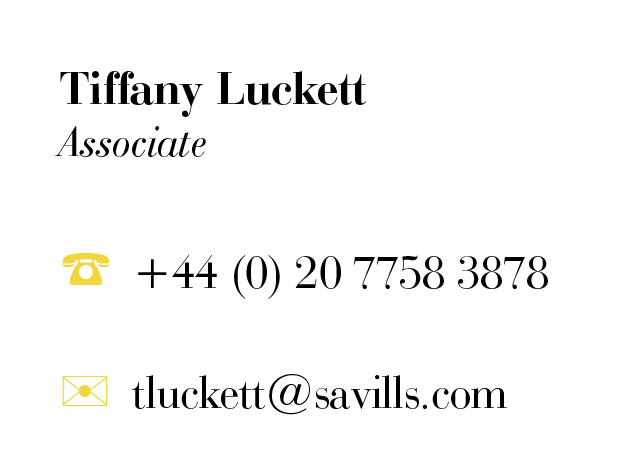 Savills acted for the landlord, Criterion. Please contact Oliver Green or Sarah Goldman for more information. Italy’s best gelato brand has scooped up its first Covent Garden location. 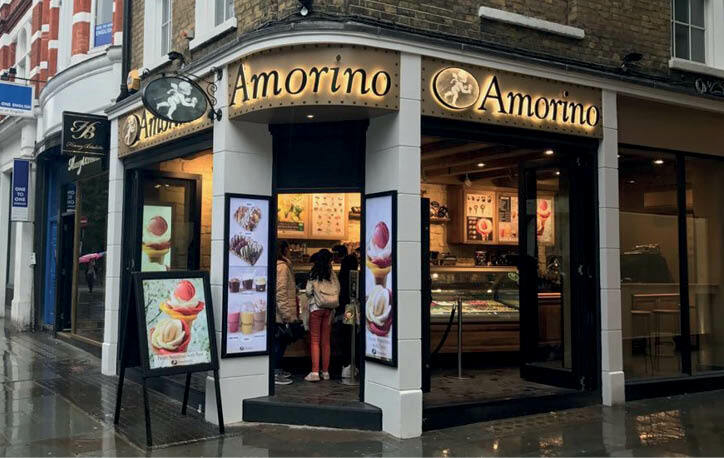 Tapping into the 44 million visitors that take to Covent Garden each year, Amorino, will be serving tourists ice cream from the beginning of June. 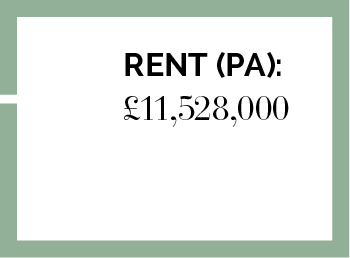 Savills acted for the landlord, RLAM. 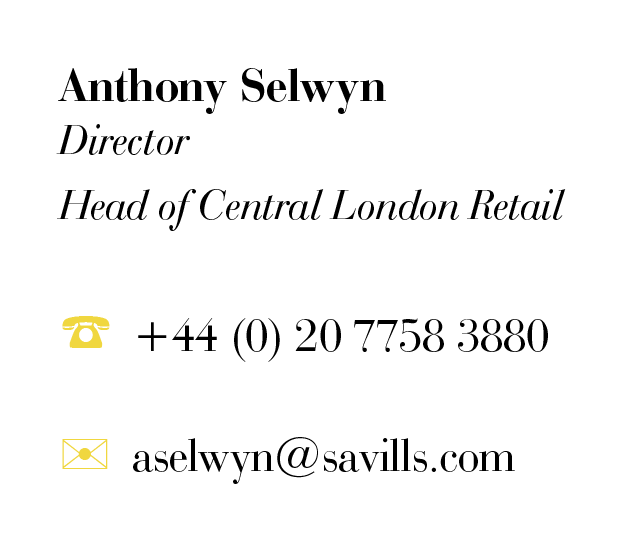 Please contact Anthony Selwyn for more information. 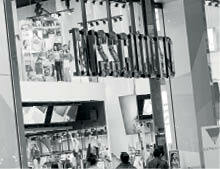 Standalone stores give brands a chance to offer concepts not found elsewhere, creating something more experiential. 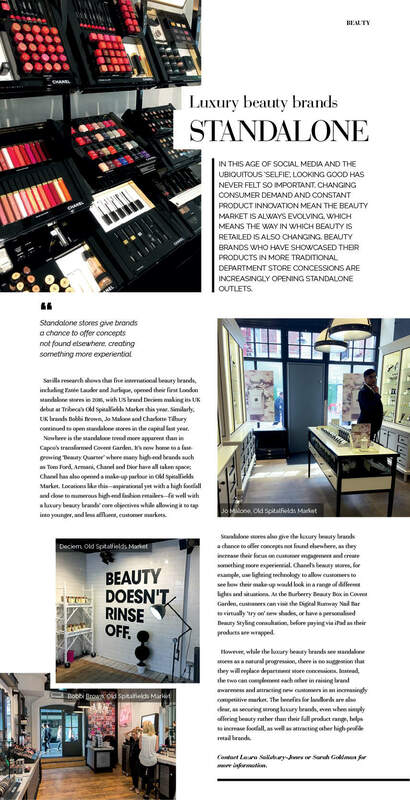 Standalone stores also give the luxury beauty brands a chance to offer concepts not found elsewhere, as they increase their focus on customer engagement and create something more experiential. 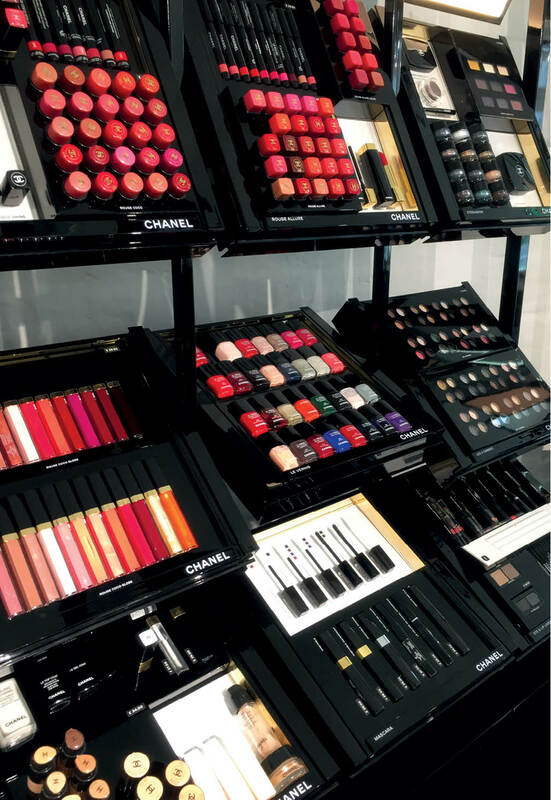 Chanel’s beauty stores, for example, use lighting technology to allow customers to see how their make-up would look in a range of different lights and situations. At the Burberry Beauty Box in Covent Garden, customers can visit the Digital Runway Nail Bar to virtually ‘try on’ new shades, or have a personalised Beauty Styling consultation, before paying via iPad as their products are wrapped. However, while the luxury beauty brands see standalone stores as a natural progression, there is no suggestion that they will replace department store concessions. Instead, the two can complement each other in raising brand awareness and attracting new customers in an increasingly competitive market. 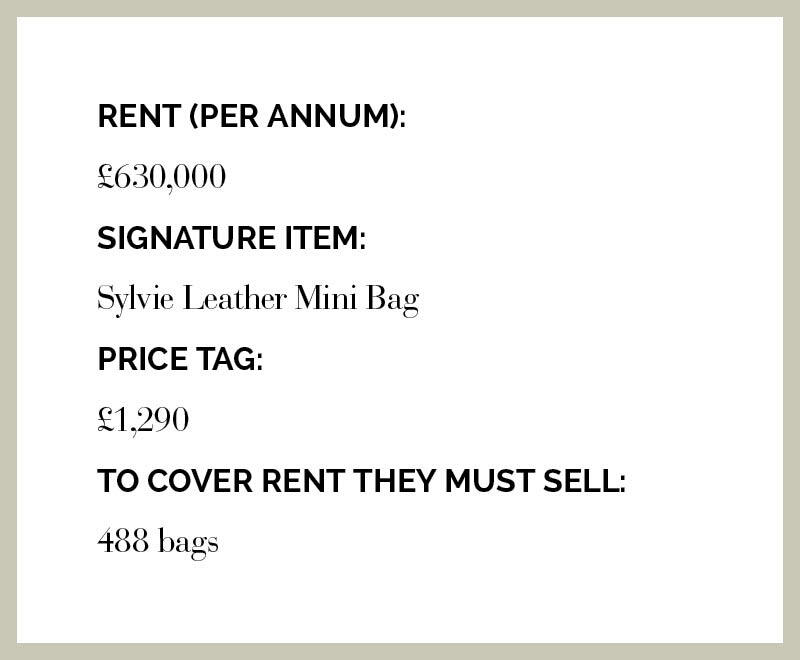 The benefits for landlords are also clear, as securing strong luxury brands, even when simply offering beauty rather than their full product range, helps to increase footfall, as well as attracting other high-profile retail brands. In this age of social media and the ubiquitous ‘selfie’, looking good has never FELT so important. changing consumer demand and constant product innovation mean the beauty market is always evolving, WHICH MEANS the way in which BEAUTY is retailed is also changing. beauty brands WHO have showcased their products in more traditional department store concessions are increasingly opening standalone outlets. 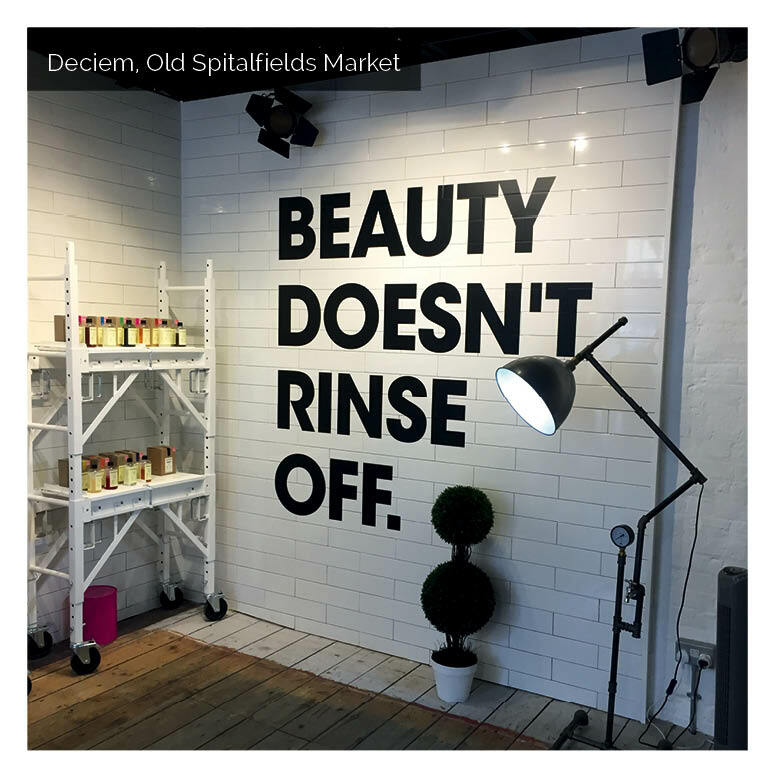 Savills research shows that five international beauty brands, including Estée Lauder and Jurlique, opened their first London standalone stores in 2016, with US brand Deciem making its UK debut at Tribeca’s Old Spitalfields Market this year. 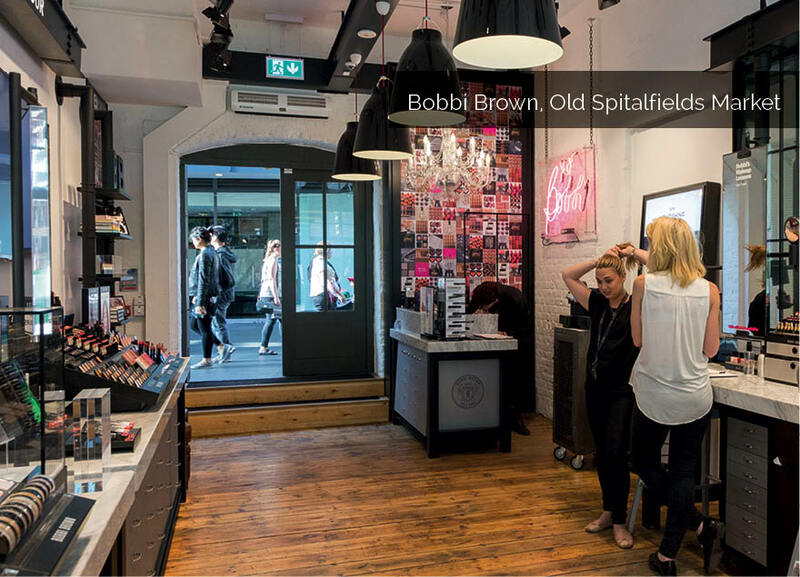 Similarly, UK brands Bobbi Brown, Jo Malone and Charlotte Tilbury continued to open standalone stores in the capital last year. Nowhere is the standalone trend more apparent than in Capco’s transformed Covent Garden. 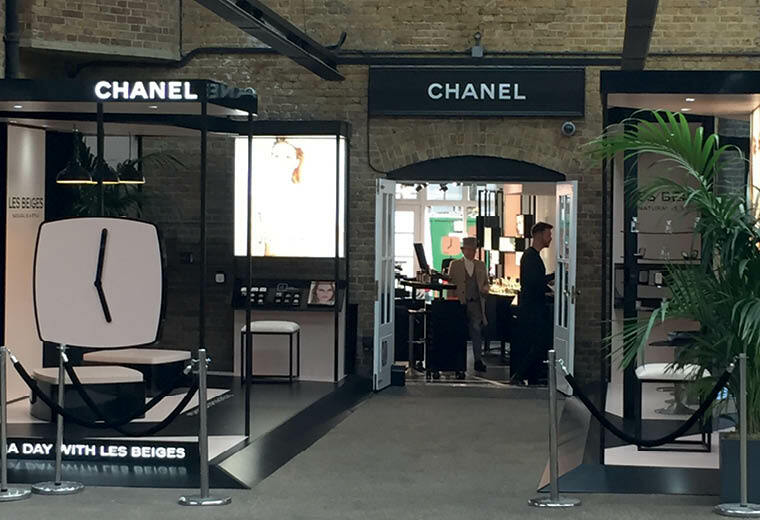 It’s now home to a fast-growing ‘Beauty Quarter’ where many high-end brands such as Tom Ford, Armani, Chanel and Dior have all taken space; Chanel has also opened a make-up parlour in Old Spitalfields Market. 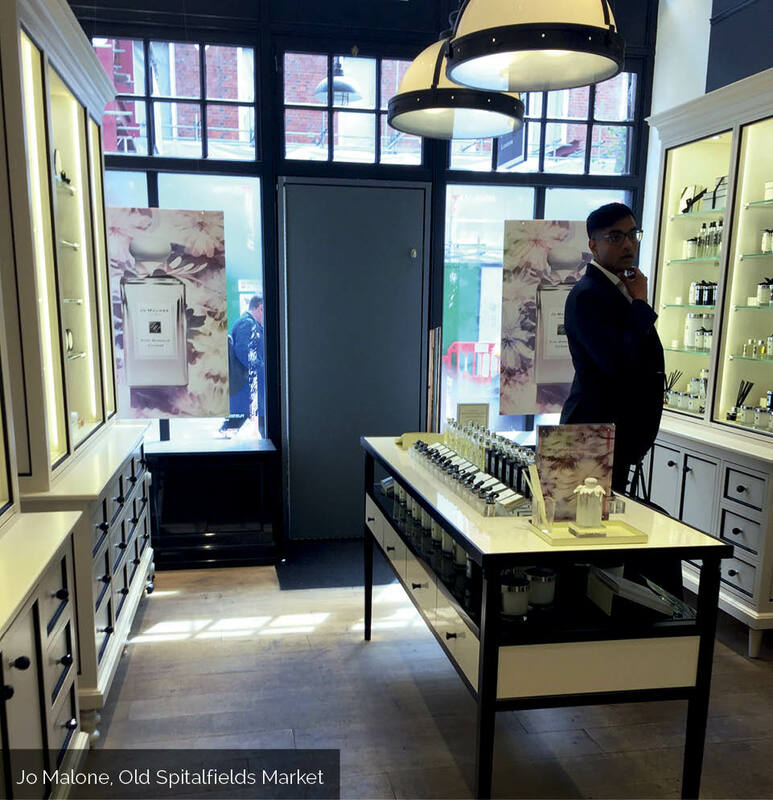 Locations like this­—aspirational yet with a high footfall and close to numerous high-end fashion retailers—fit well with a luxury beauty brands’ core objectives while allowing it to tap into younger, and less affluent, customer markets. 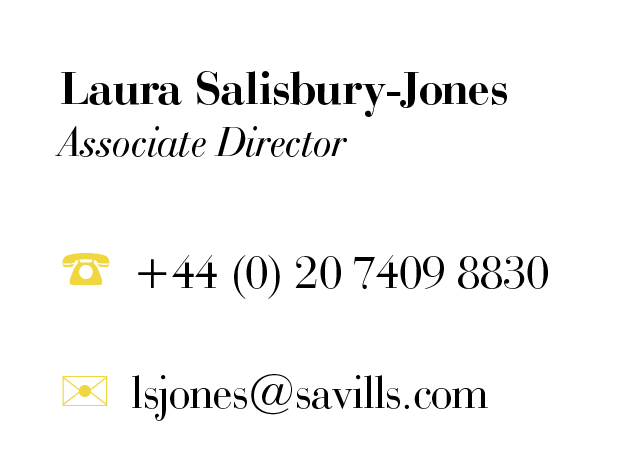 Contact Laura Salisbury-Jones or Sarah Goldman for more information. THE 'STORE' WILL CONTINUE, HOWEVER, WHAT THEY LOOK LIKE AND THE ACTIVITIES WITHIN THEM, IS CHANGING. 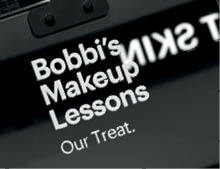 For these transitioning brands having a physical store is not just about selling their products. 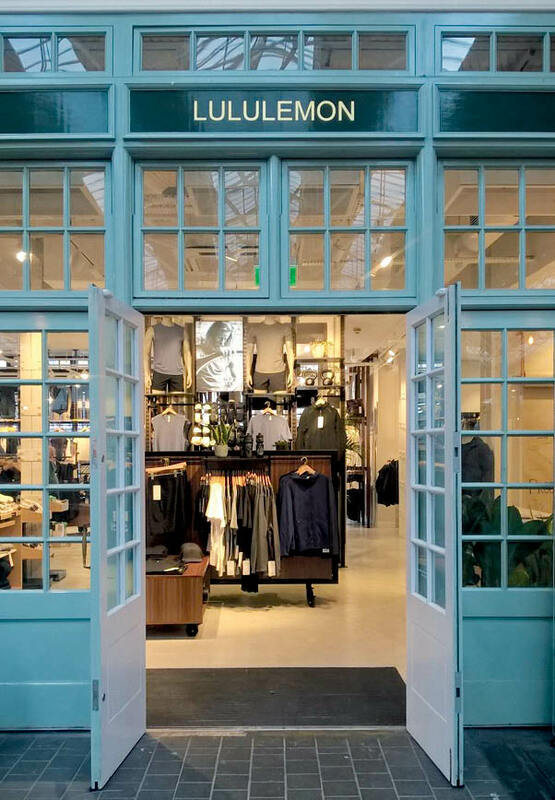 It also gives them the opportunity to showcase and promote their brand through experiential retailing—hosting in-store events, for example, or providing a café. There are some operational advantages, too. A store can help a brand reach more customers due to the apparent halo effect a new store can have on local online sales. Having a physical presence may also help minimise returns, which can have significant cost implications. What is becoming increasingly apparent is that the future of retail won’t be about online vs high street, but rather how the two platforms can work together to provide the best 'total' retail experience. To achieve this, a true digitisation of the physical store will be required. Until now, digitisation has been largely focussed on hardware such as in-store iPads to search for products online. 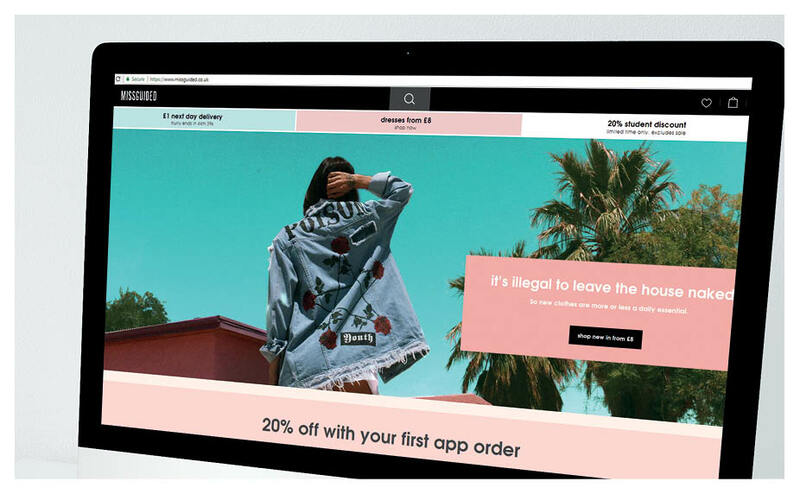 The next step in the evolution looks to be the development of integrated software that can deliver the same personalised experience in store that shoppers are used to online. 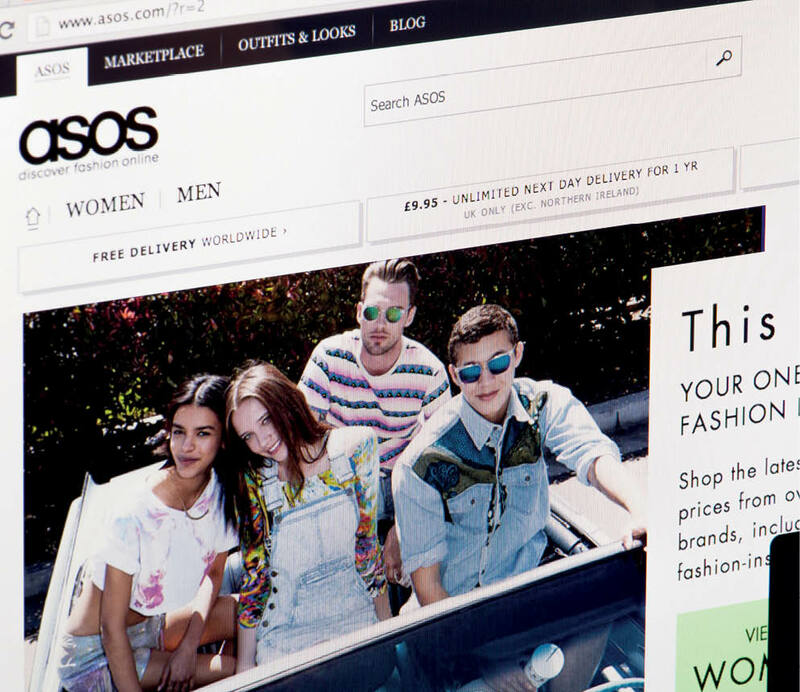 It’s not just the physical stores that are adapting, so are the online retailers. 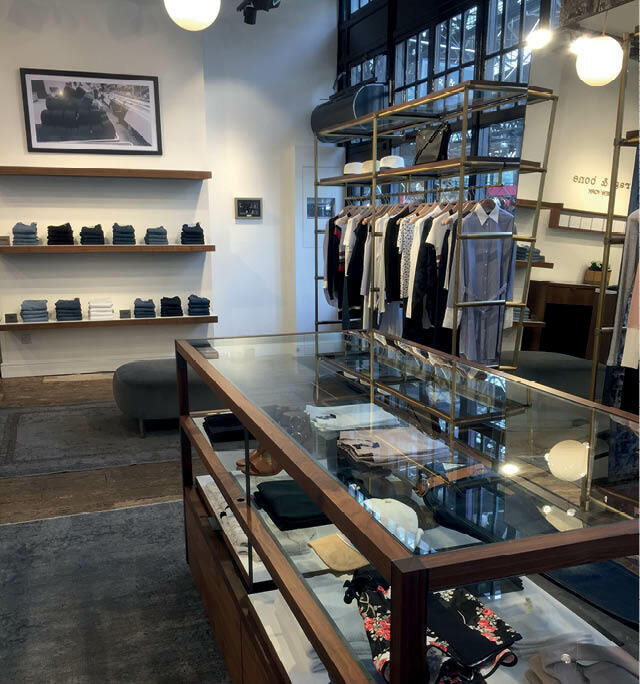 An increasing number of pureplay e-tailers are making the transition into omnichannel 'total' retailers by taking physical stores. 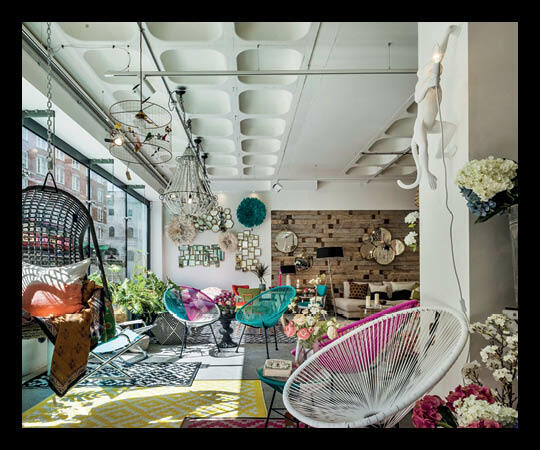 Fashion and homeware/furniture retailers have been most active in making this transition and no doubt reflects consumer preferences to ‘touch and feel’ these types of products prior to purchase. 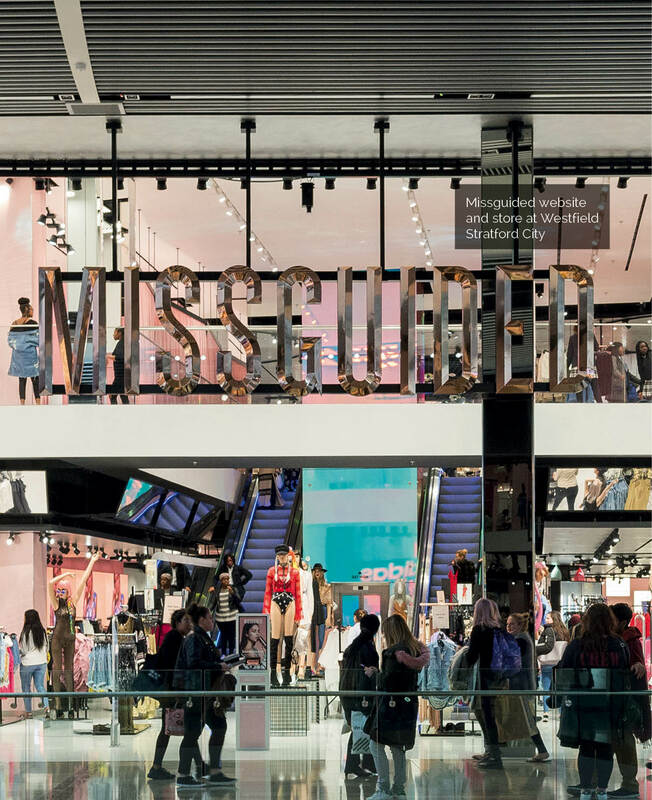 Five pureplay brands made the transition in 2016: three made the leap to physical retailing via department store concessions, while two opened their own stores, the most high profile of which being Missguided. 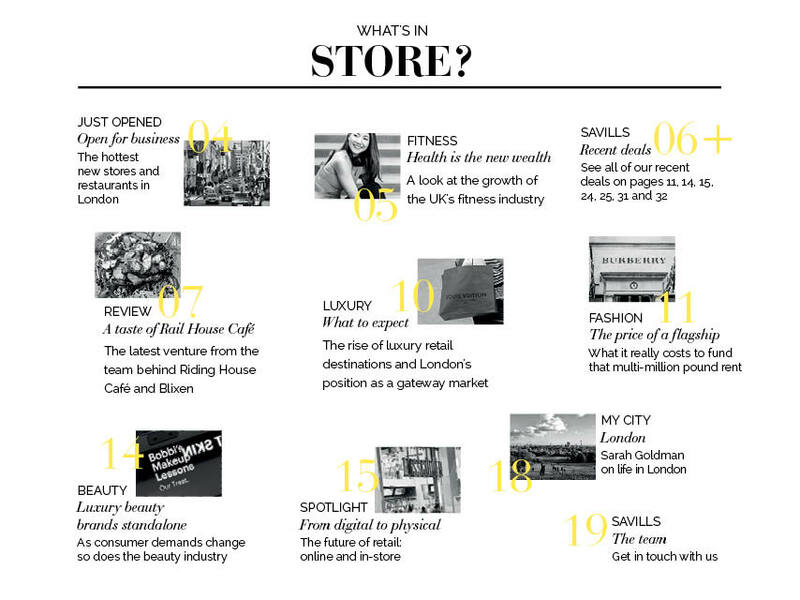 To download a full copy of the Retail Revolutions: From Digital to Physical Report, click here. The future of retail won’t be about online vs high street, but rather how the two can work together to provide the best 'total' retail experience. Few countries have embraced internet shopping as enthusiastically as the UK. Over the past five years, online retail sales have been increasing by an average of 11.4 per cent every year, far exceeding the total growth in retail sales of 1.5 per cent. However, there are signs that online retailing is starting to mature as the rate of growth is starting to slow with GlobalData estimating that online sales will expand by 8.0 per cent in 2017, slowing to 4.8 per cent by 2022. 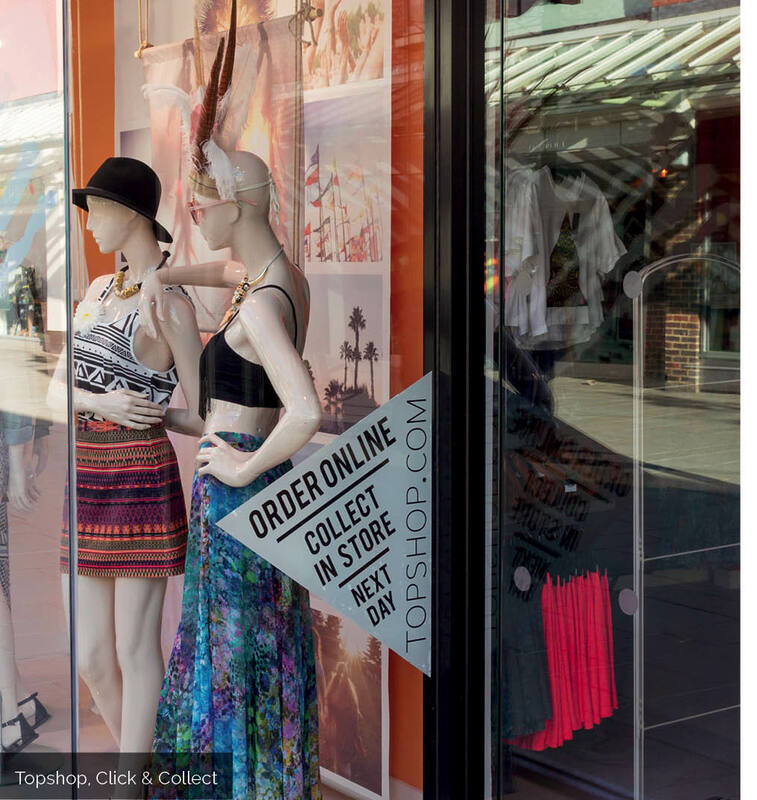 While online will continue to expand the fact is that the majority of retail sales, forecast to be 81.6 per cent of sales in 2022, will continue to take place in stores. There is also mounting evidence of the role a store plays in driving and supporting online sales. Contact Marie Hickey for more information. The transition into physical retailing is clearly positive news for the retail property sector, though it’s worth noting that transitioning retailers are becoming more selective and measured in the size and location of their store network. 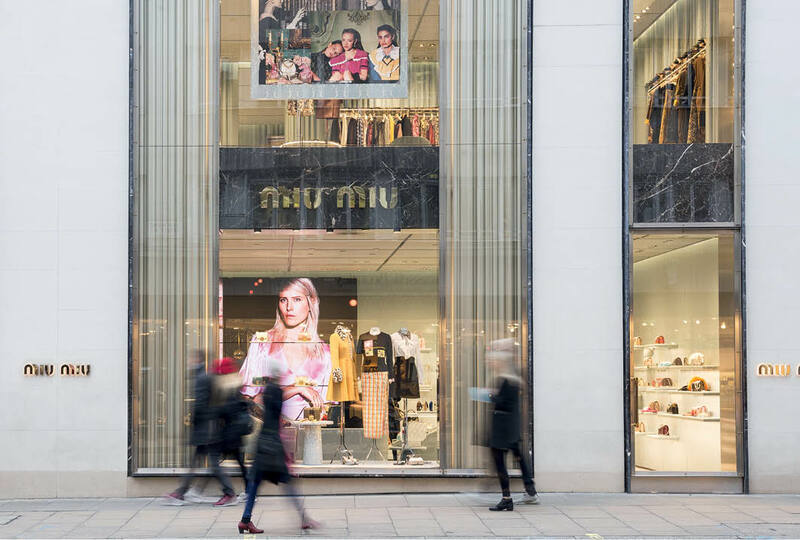 For the moment at least, average store count of transitioning fashion brands is eight, with the focus very much on London and other 'destination' centres. However, it’s the digitisation of the in-store experience that is likely to have the greatest impact on retail property. Increased digitisation will rely on software and technology advancements but the key to ensuring these features work will be high-speed Wi-Fi. 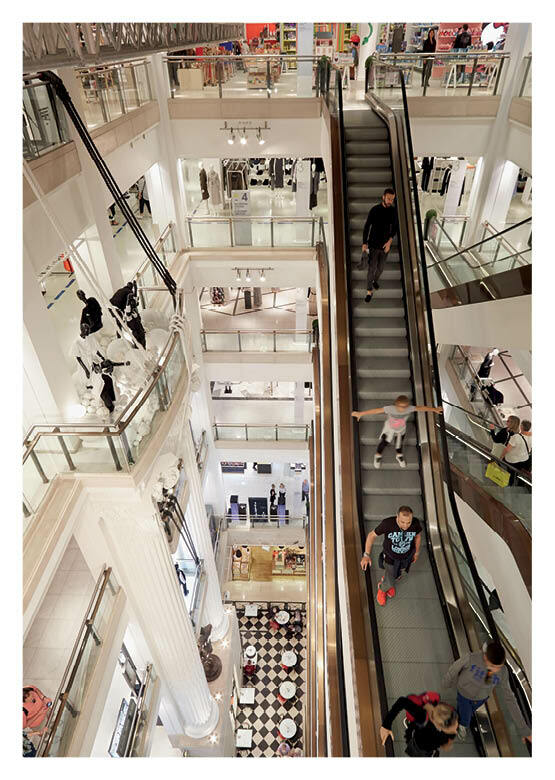 Ensuring that space is flexible is also likely to move up the agenda as retailers look to use their stores in new ways and that may present planning and servicing challenges. 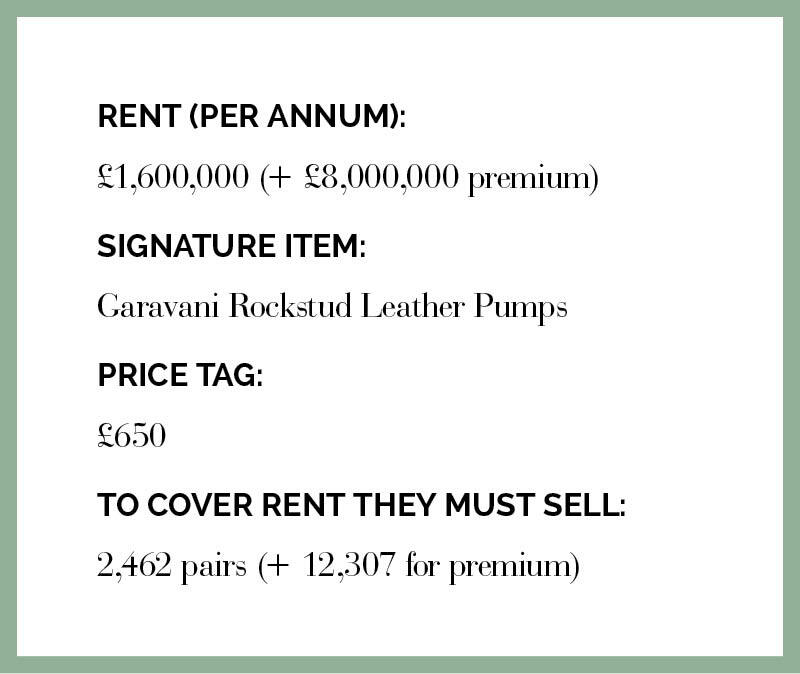 The real test for landlords—and retailers—will be assessing a store’s value. 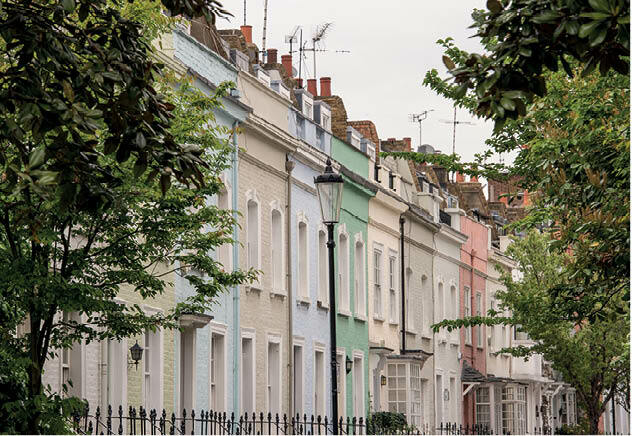 The traditional approach of charging a fixed rent, subject to rent reviews, is starting to look at odds with the growing symbiotic nature of retailers online/offline platforms in delivering a transaction. What is apparent is that the physical store will continue. What it looks like and what goes on inside it, will change. 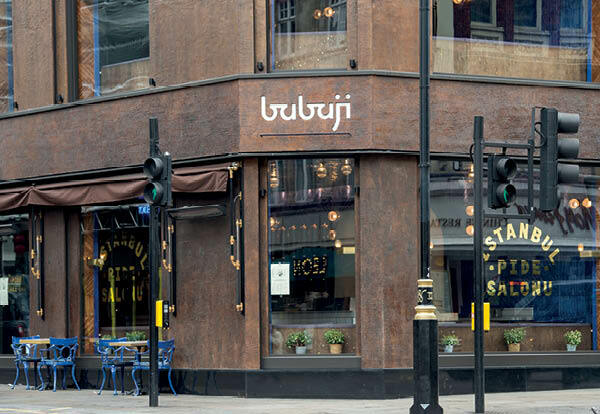 Having exchanged deals with Alan Yau’s Babaji restaurant concept and luxury gym 1Rebel, which will sit alongside bohemian furniture retailer Graham and Green (as well as anchor tenant Waitrose), Savills has just one unit remaining in the 40,000 sq ft scheme. 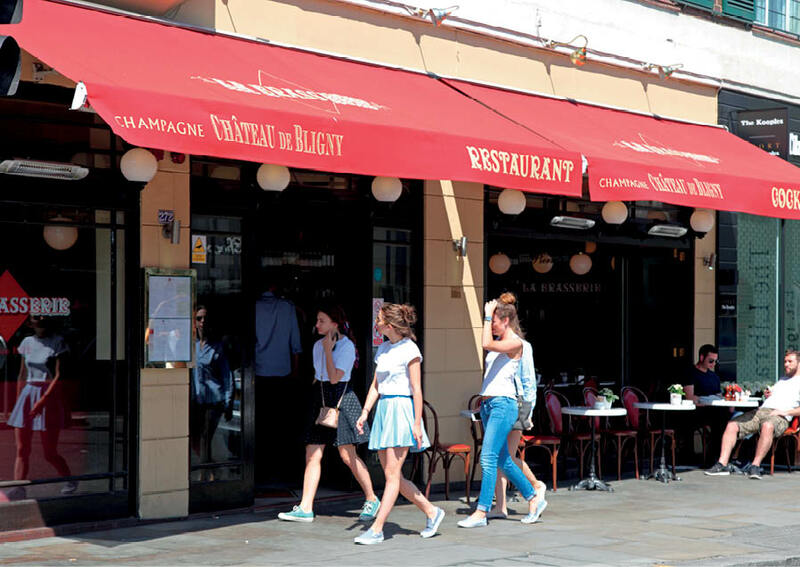 Following a record Zone A rate being achieved on La Brasserie in South Kensington, the restaurant has been bought for a premium, reported to be in excess of £2 million, by the Caramel Group. 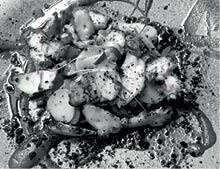 This will be the group’s seventh restaurant and its first in London. 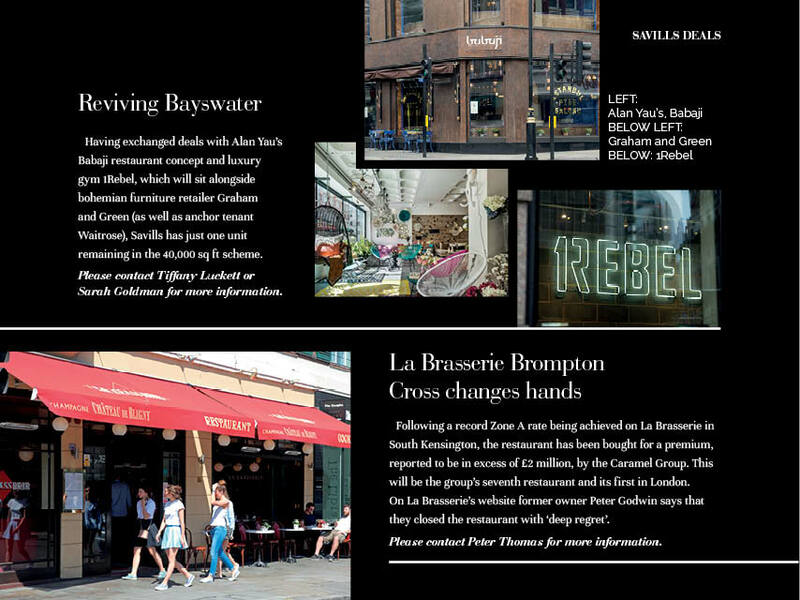 On La Brasserie’s website former owner Peter Godwin says that they closed the restaurant with ‘deep regret’. 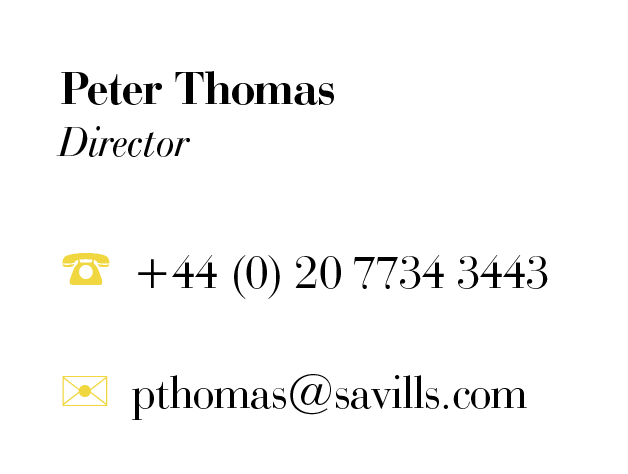 Please contact Peter Thomas for more information. Please contact Kristian Kendall for more information. The team behind Hawksmoor have opened their doors at 8–10 Lower James Street just off Golden Square in Soho. 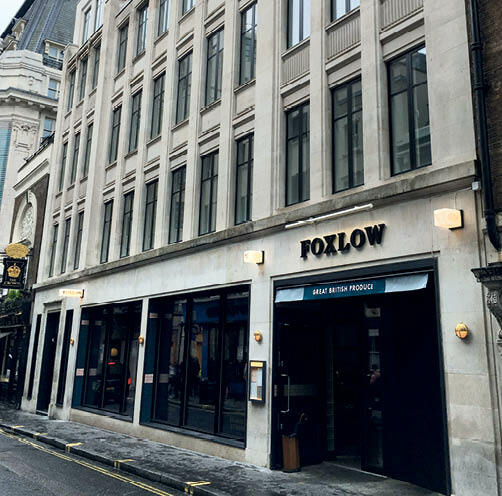 Foxlow is an all-day neighbourhood restaurant in a classic American diner style setting. 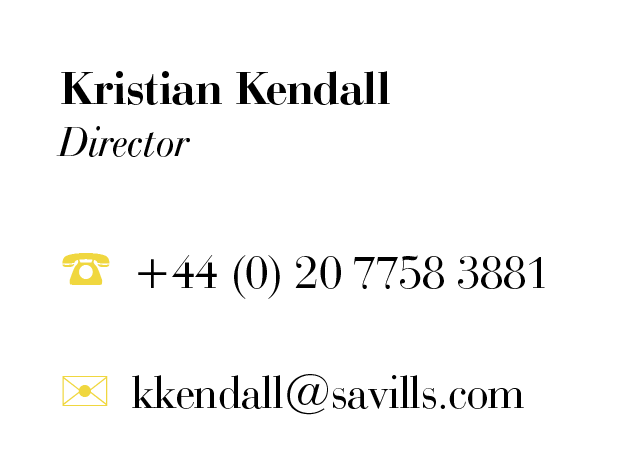 Savills acted for the landlord, KFIM. 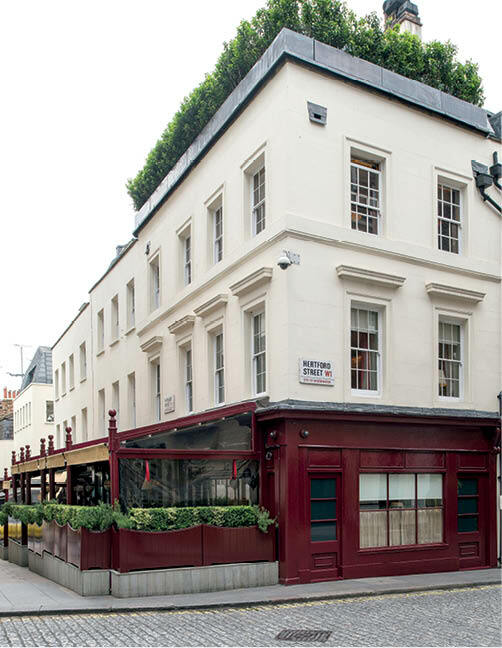 High-end Chinese restaurant Imperial Treasure is set to open their first UK restaurant at 8–10 Waterloo Place in London. 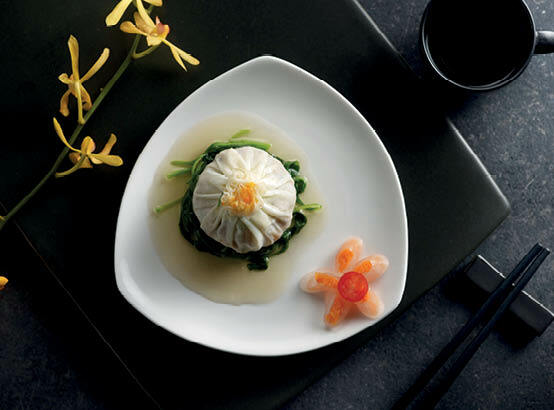 The restaurateur has spaces in Hong Kong, Singapore and Shanghai, where they were recently awarded two Michelin stars. The concept will take over an 8,500 sq ft space at the St James’s scheme. 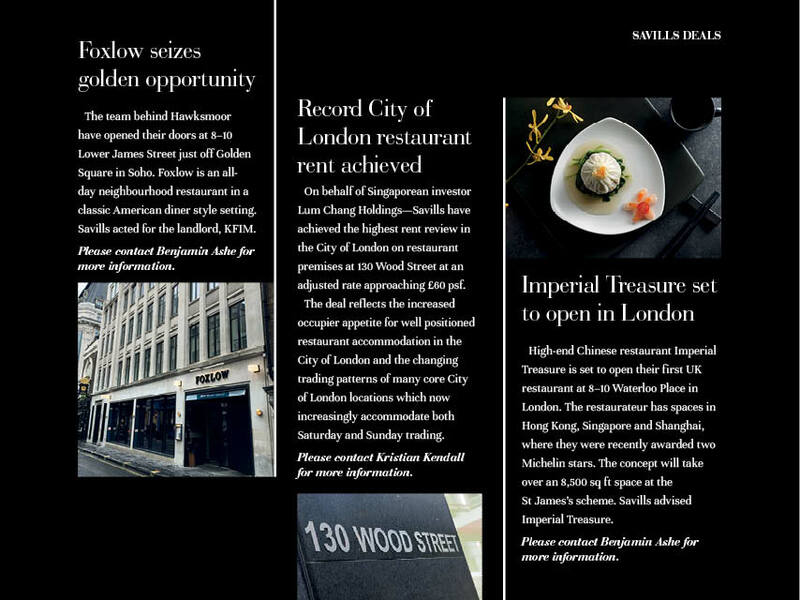 Savills advised Imperial Treasure. On behalf of Singaporean investor Lum Chang Holdings—Savills have achieved the highest rent review in the City of London on restaurant premises at 130 Wood Street at an adjusted rate approaching £60 psf.The deal reflects the increased occupier appetite for well positioned restaurant accommodation in the City of London and the changing trading patterns of many core City of London locations which now increasingly accommodate both Saturday and Sunday trading. Liberty is my all-time favourite place for getting lost in. I am currently loving Thomas’s—the Burberry Café—for a cup of tea and any Charlotte Tilbury store in London for make-up. If you could buy any building in London what would it be? First thing you do when you arrive back home? My dad’s motto is DADG—Don’t Ask, Don’t get. 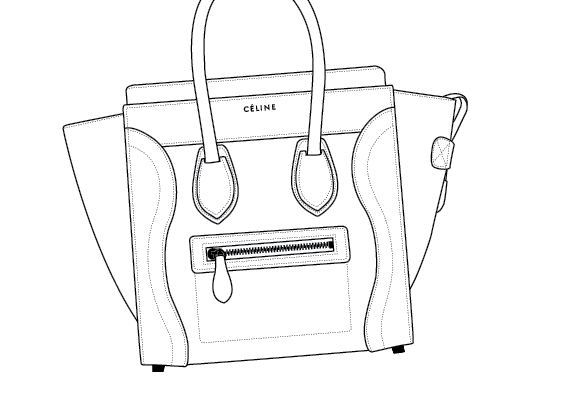 Handbags—much to the annoyance of my husband who thinks I have more than enough already! For my 21st birthday we went to Scott’s on Mount Street. I had lobster to start and birthday cake for dessert...and I spotted Cilla Black. 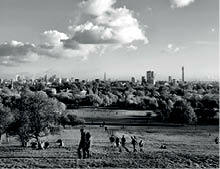 Playing in Primrose Hill with my sister and having a race to see who could reach the top first (she won). 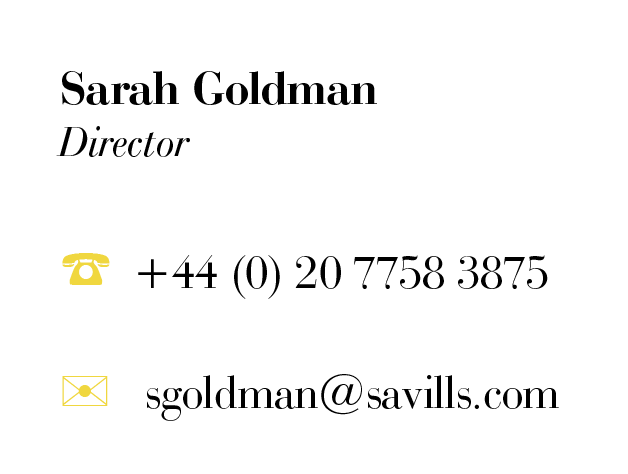 Sarah works as an Advisor to major landlords on London's key estates in the savills retail team. Sneak upstairs to get changed before the kids hear me come in and demand attention and cuddles. Tate Modern. 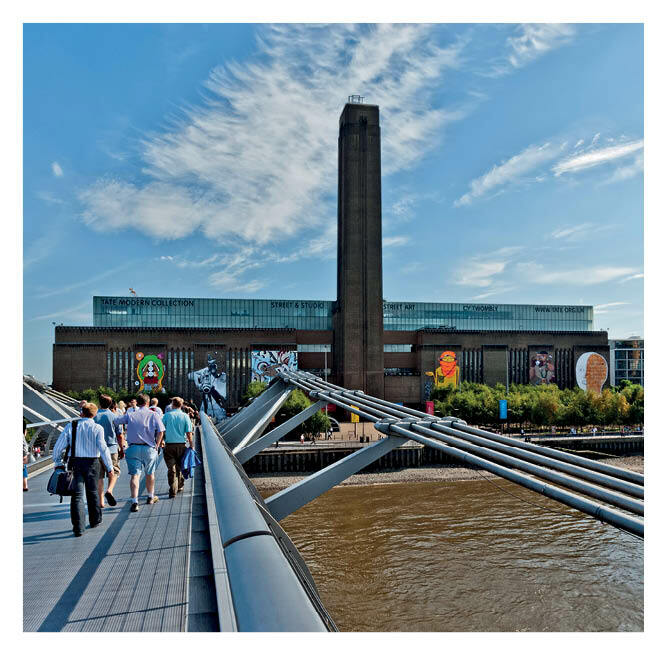 This massive hunk of brick by the river isn’t just a building, it’s a mission: the idea behind Tate Modern was to take a gorgeous, disused old power station and turn it into something that would make people care about modern art. And it worked. It’s not just an incredible piece of architecture, filled with stunning spaces and beautiful art, it’s a tool for converting non-believers, making art lovers out of everyone who visits. 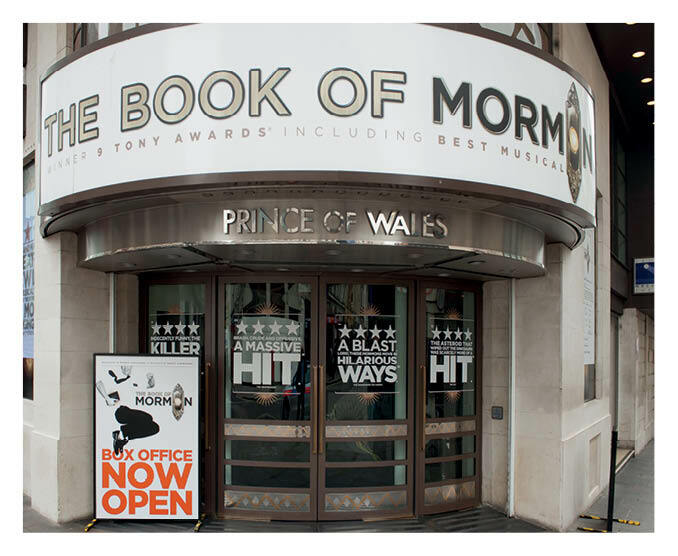 The Book of Mormon when it first opened a few years ago. The theatre becomes less of a priority when you’ve got 16-month-old twins. S Club 7. I can’t believe I actually just admitted to that. But I am their number one fan. I would introduce a proficiency test for cyclists. I am all for cycling in London but headphones and no helmet? Madness. West Hampstead. It’s got a lovely community feel and was a great place to spend my recent maternity leave. Contact Sarah Goldman for more information. 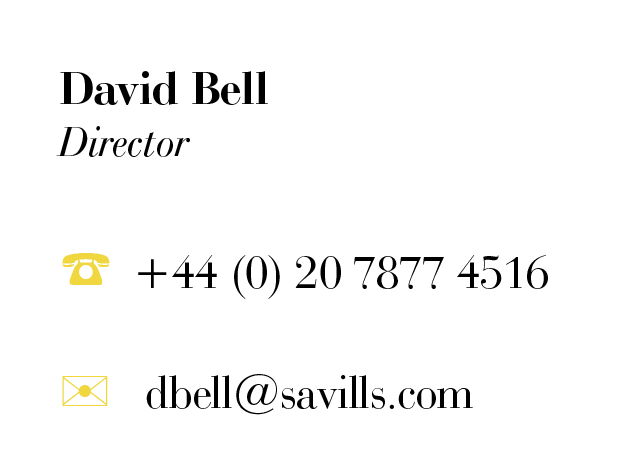 *Core Dubai is an international associate of Savills.